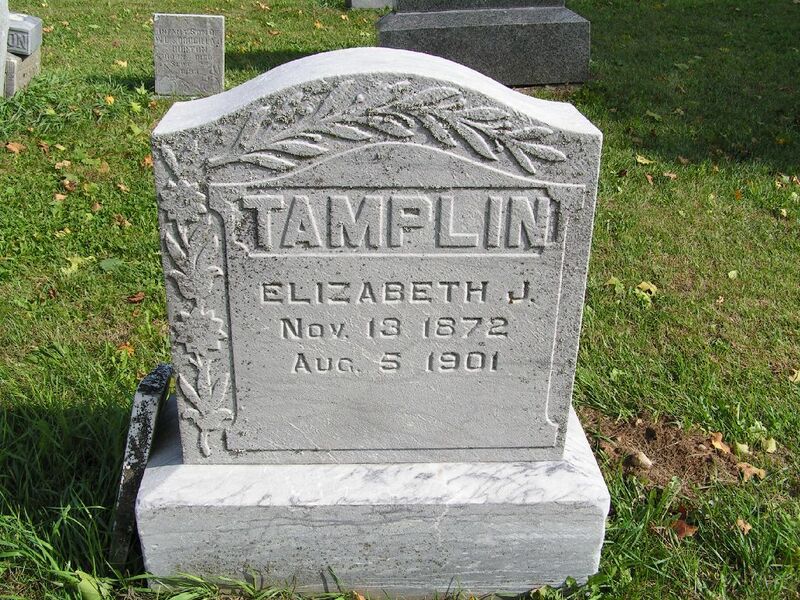 All photographs are copyrighted by Jay Thompson and may be used for personal use only. 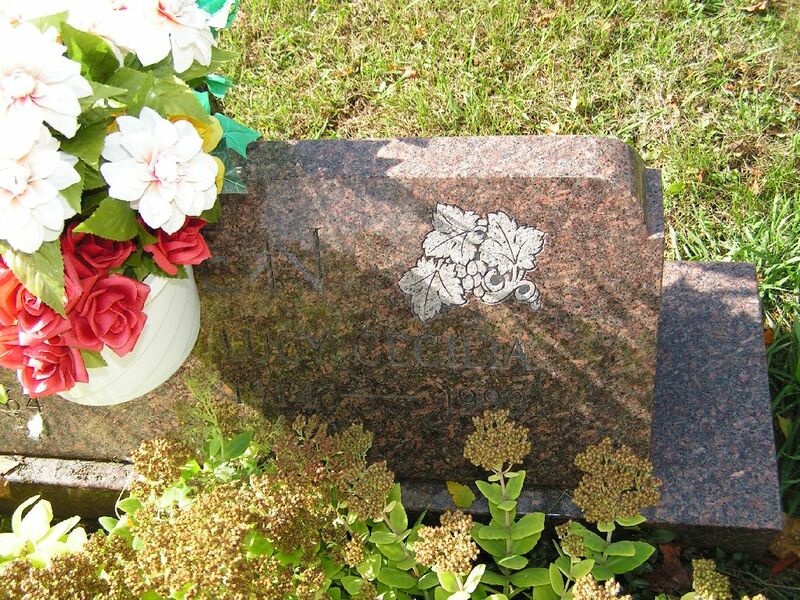 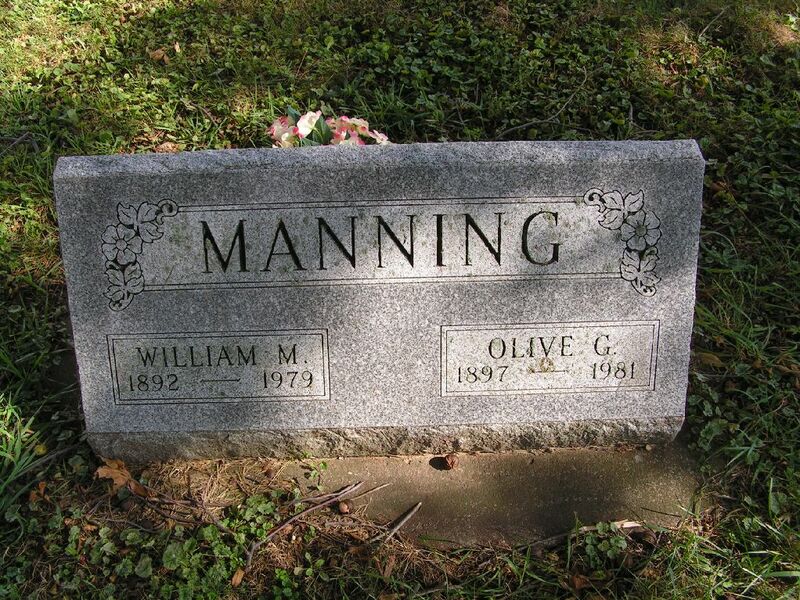 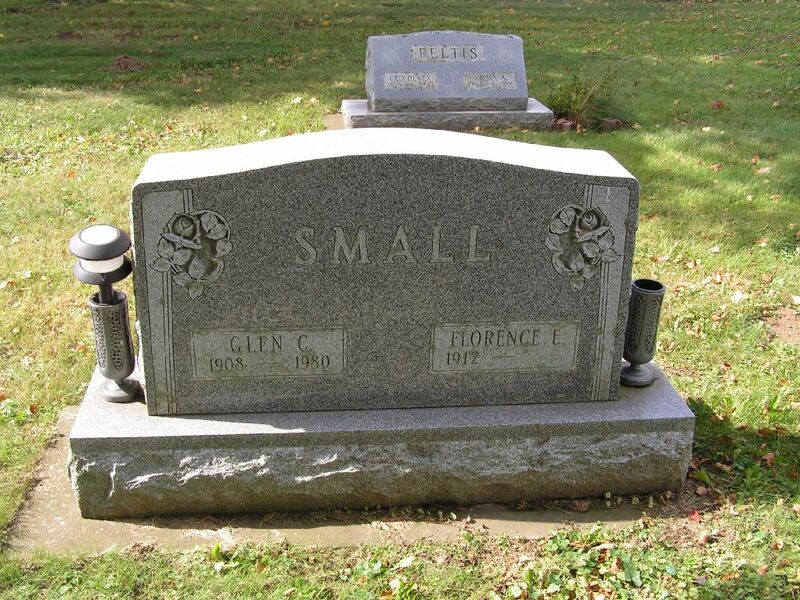 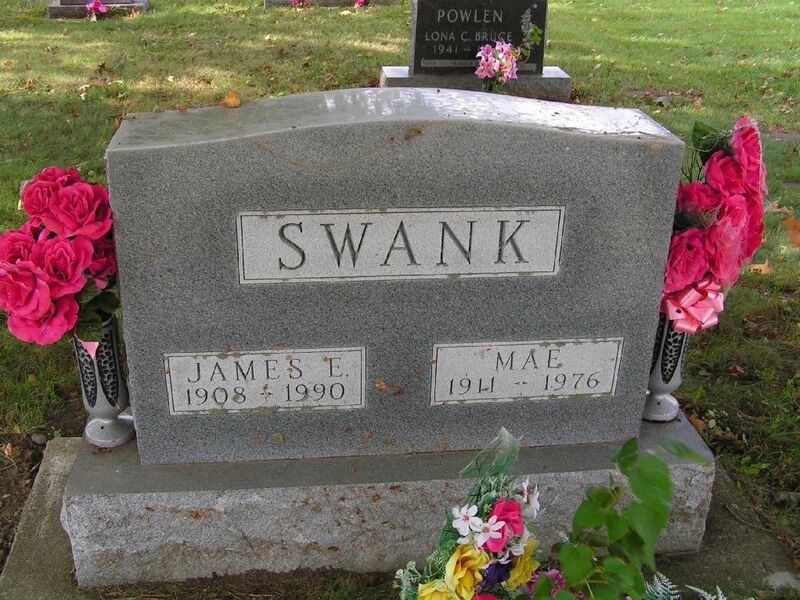 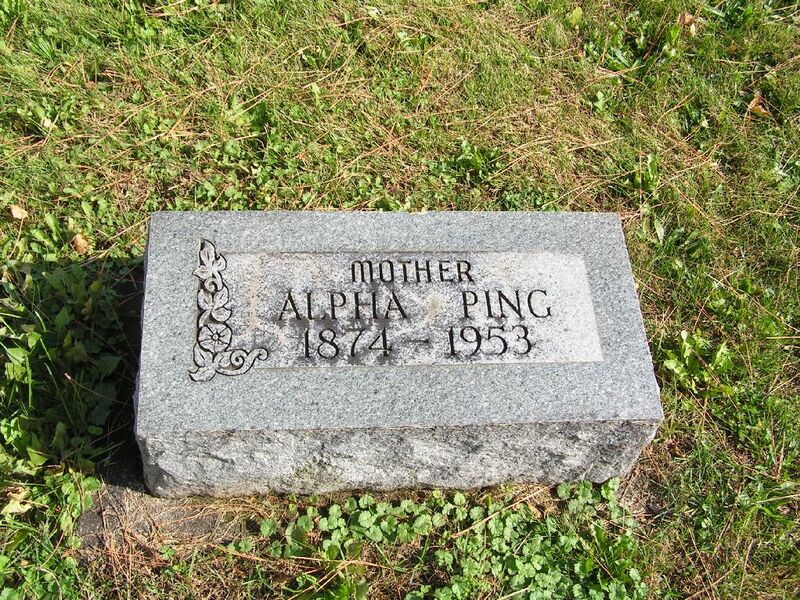 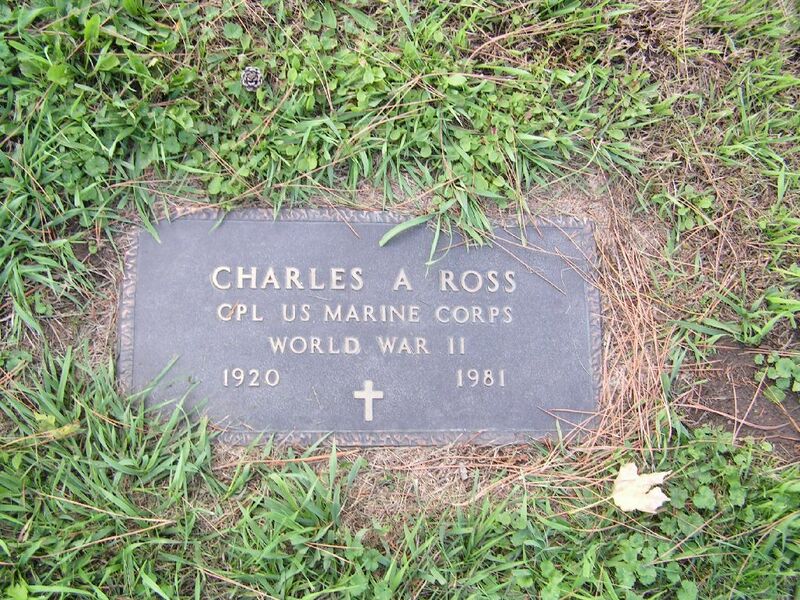 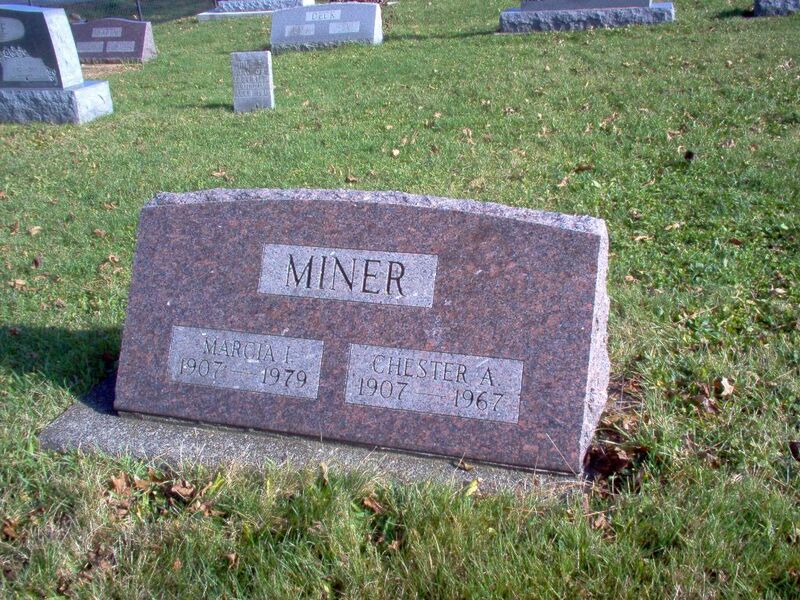 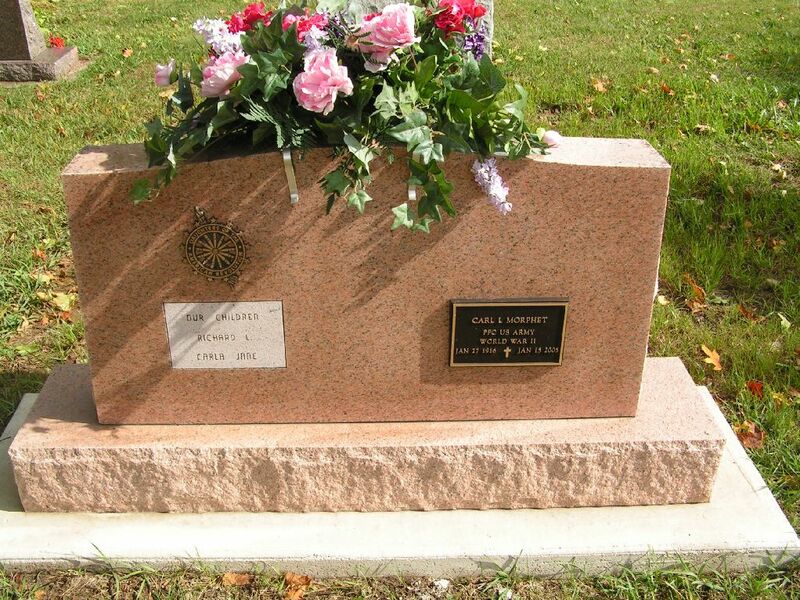 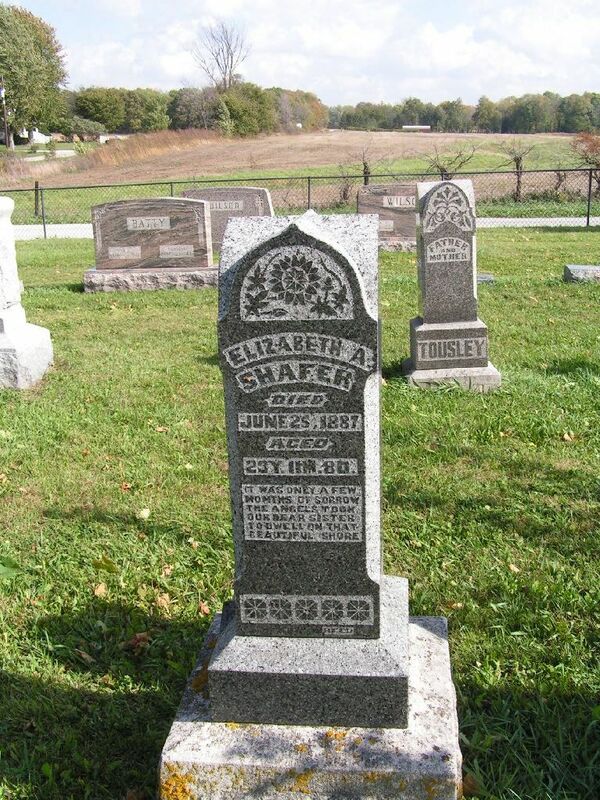 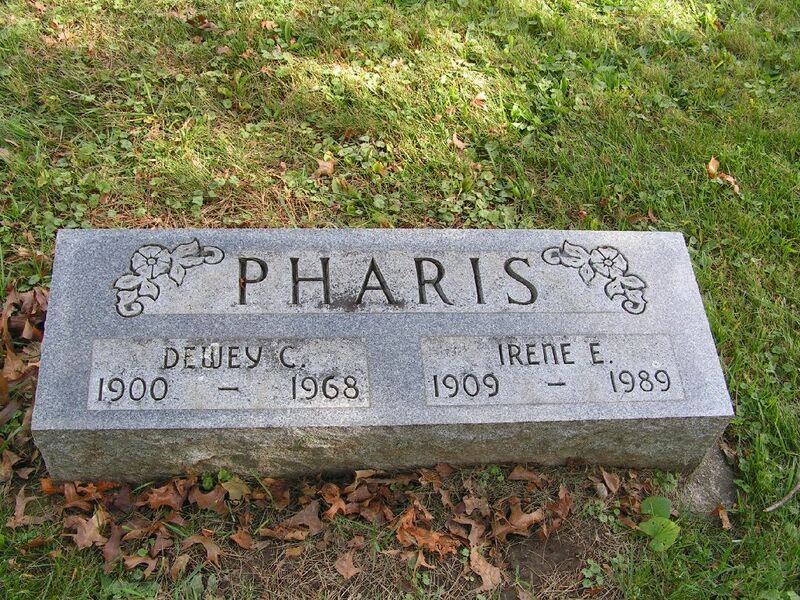 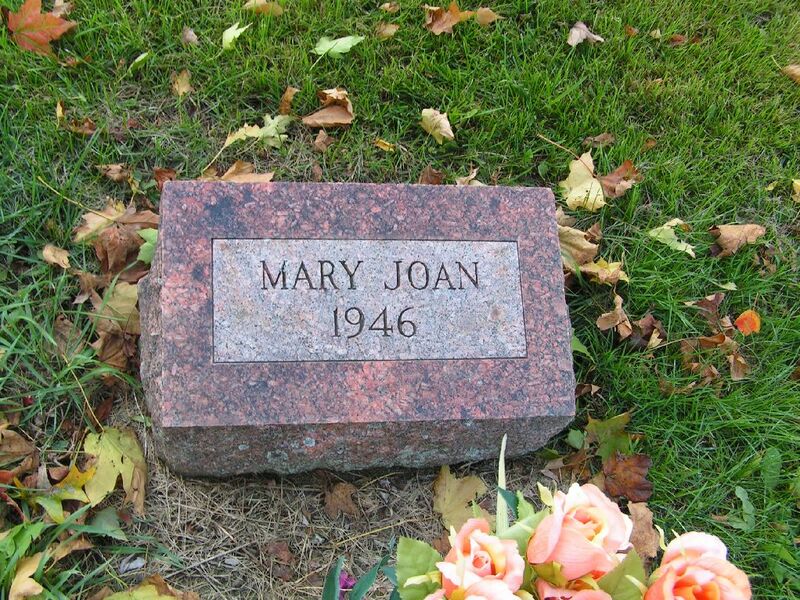 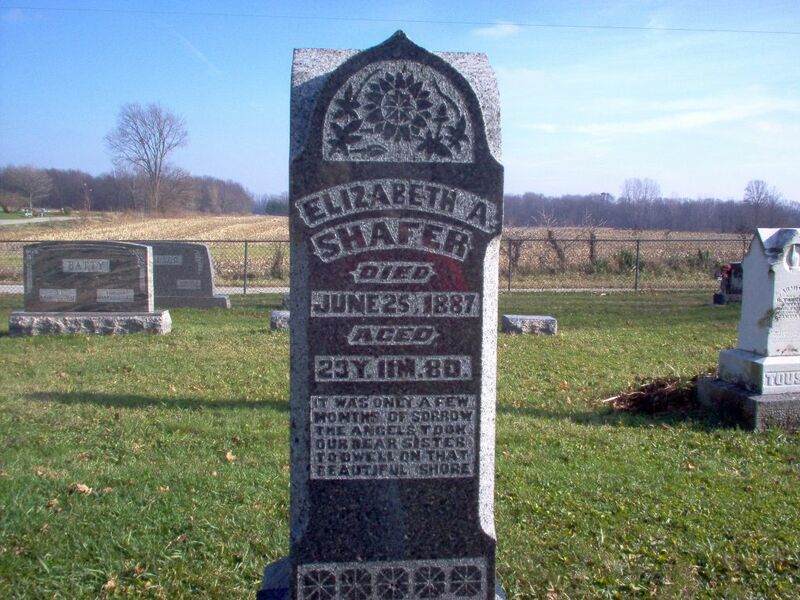 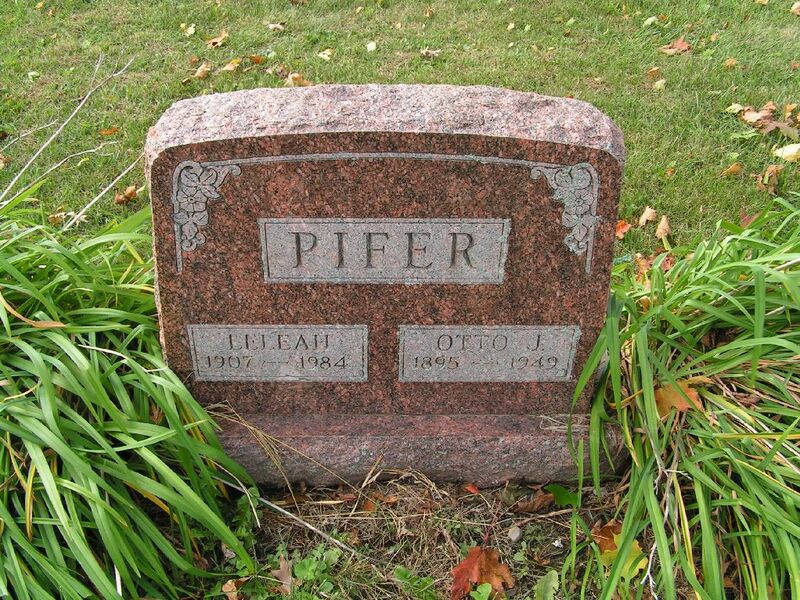 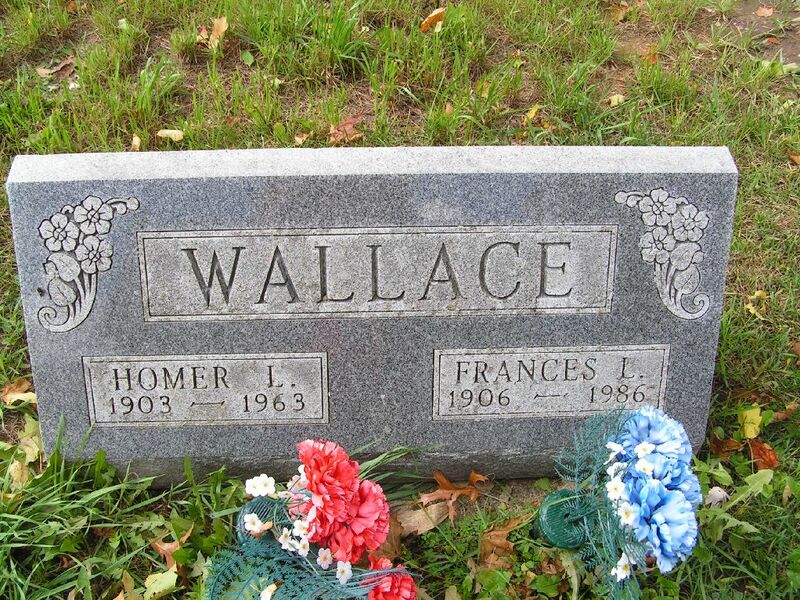 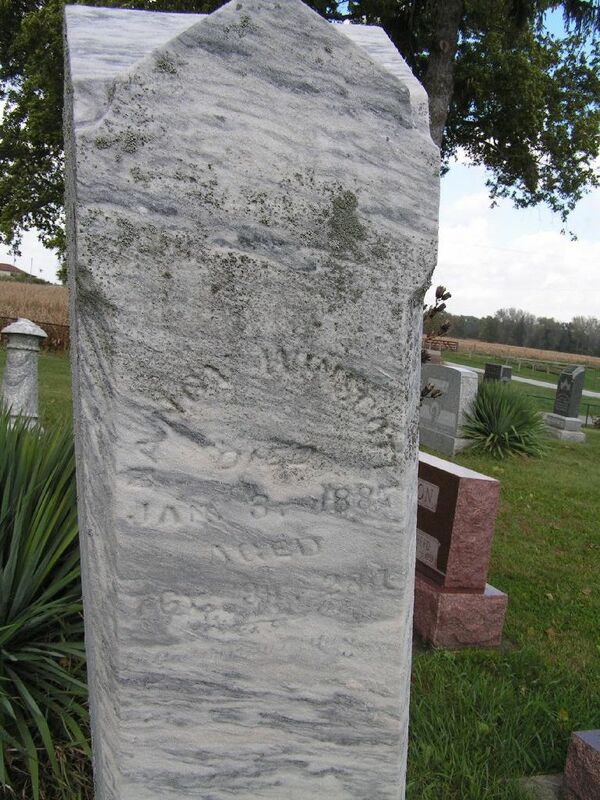  If you post ANY photograph to Find-a-Grave or similar web sites, you MUST give credit to Jay Thompson. 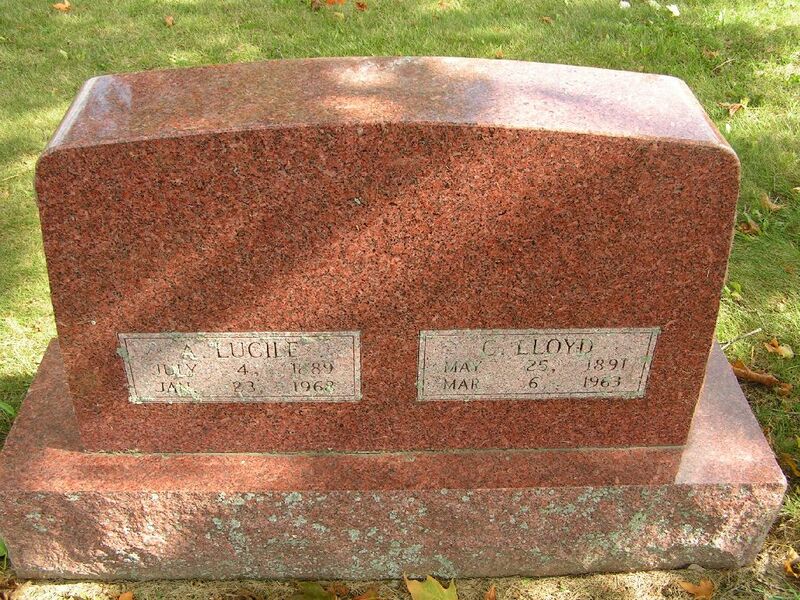 MARVIN Louis D. Dec 1870* 16 Jul 1872 19mo s/o V. & S.E. 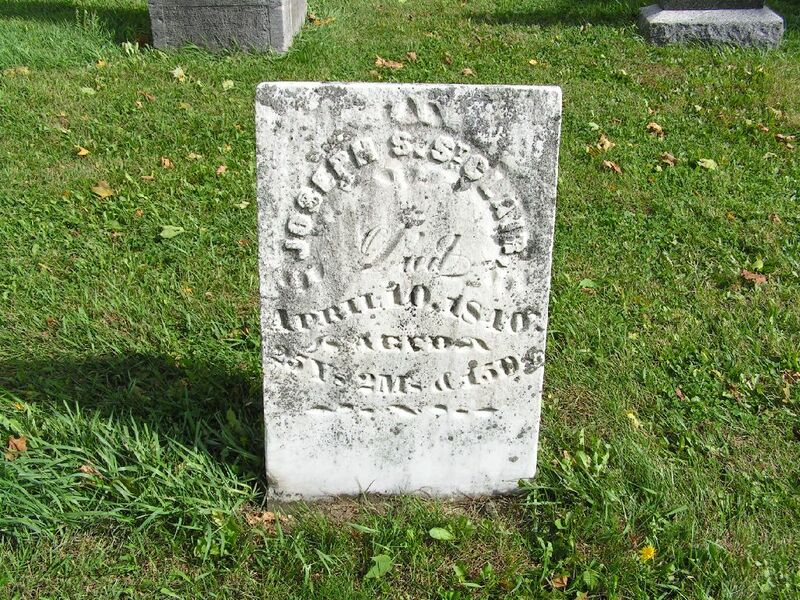 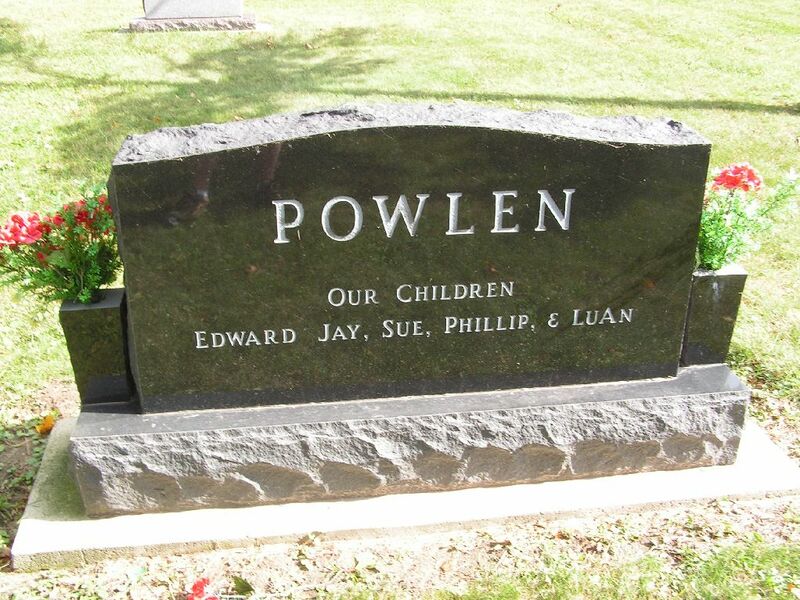 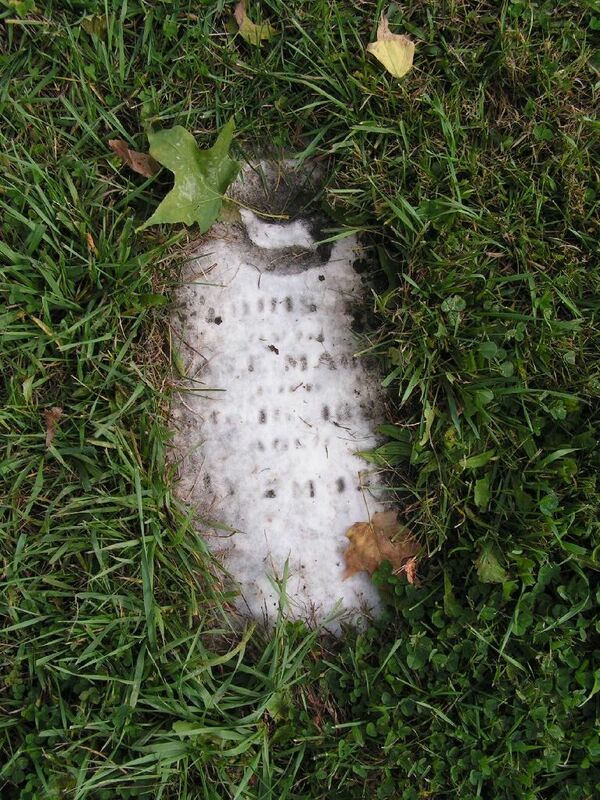 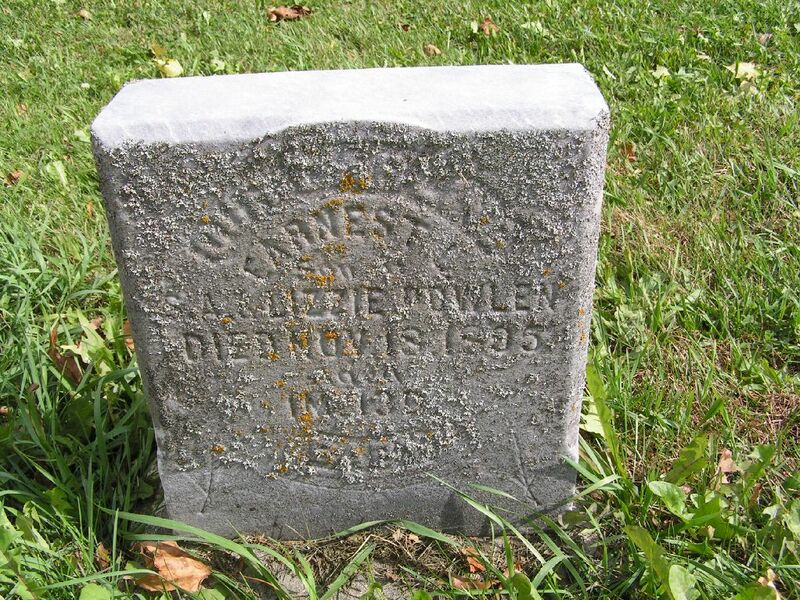 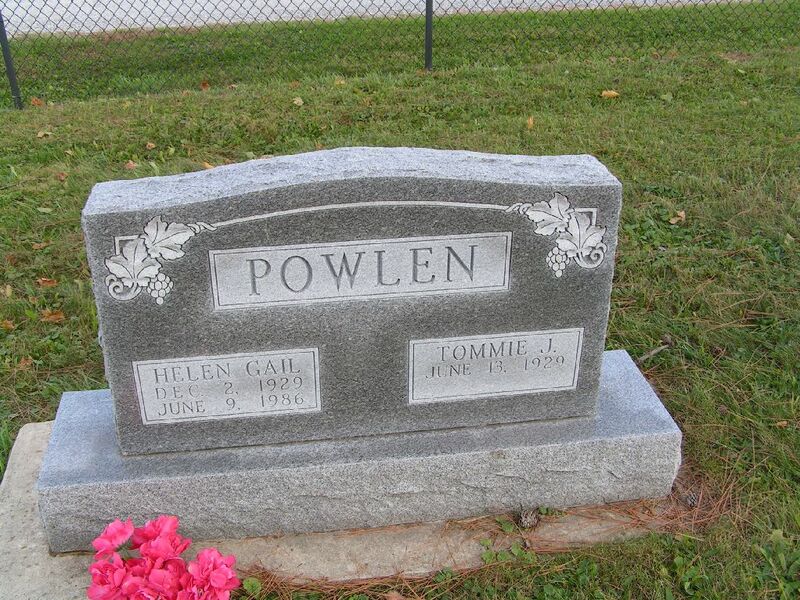 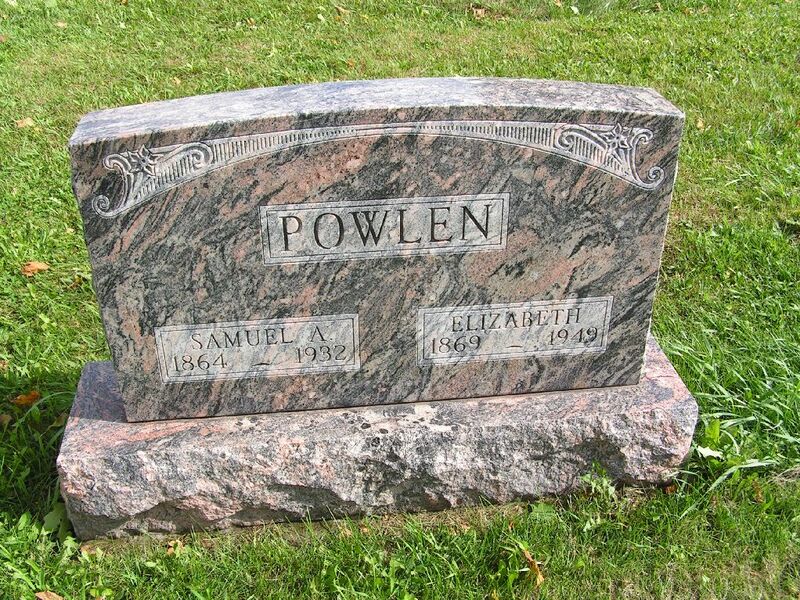 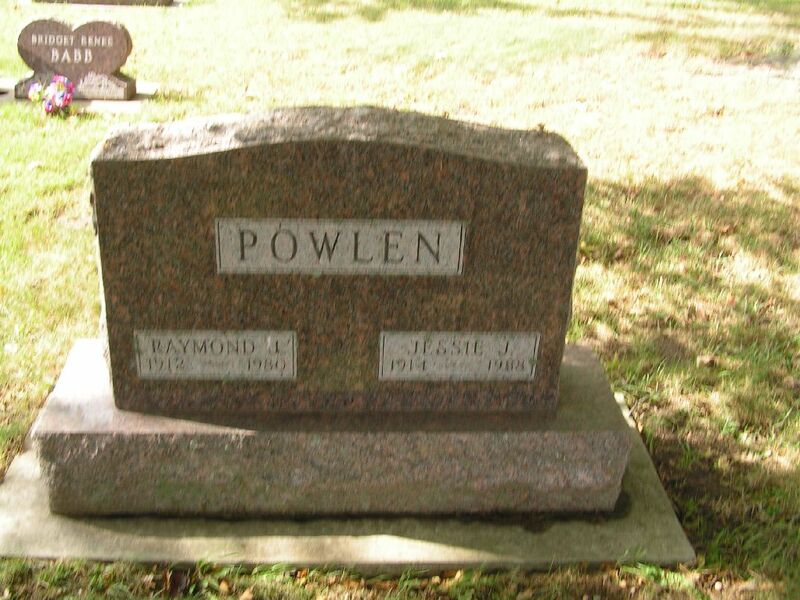 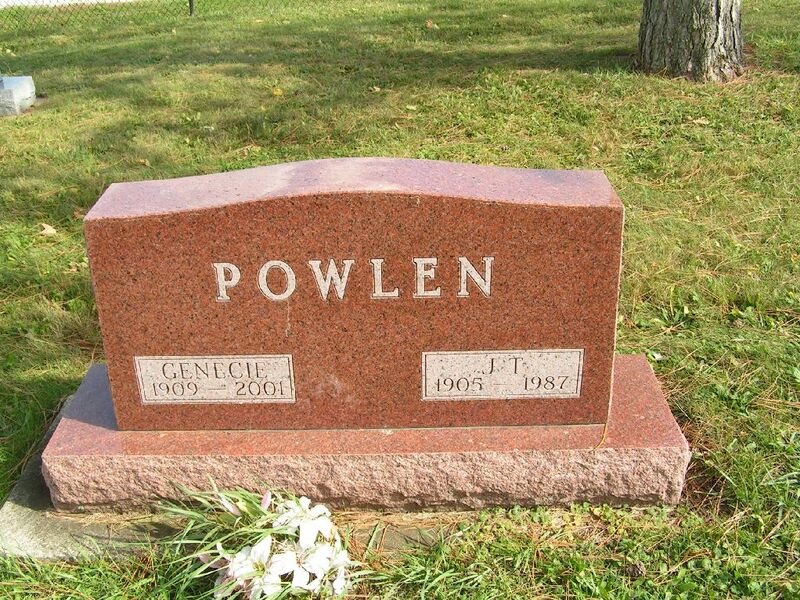 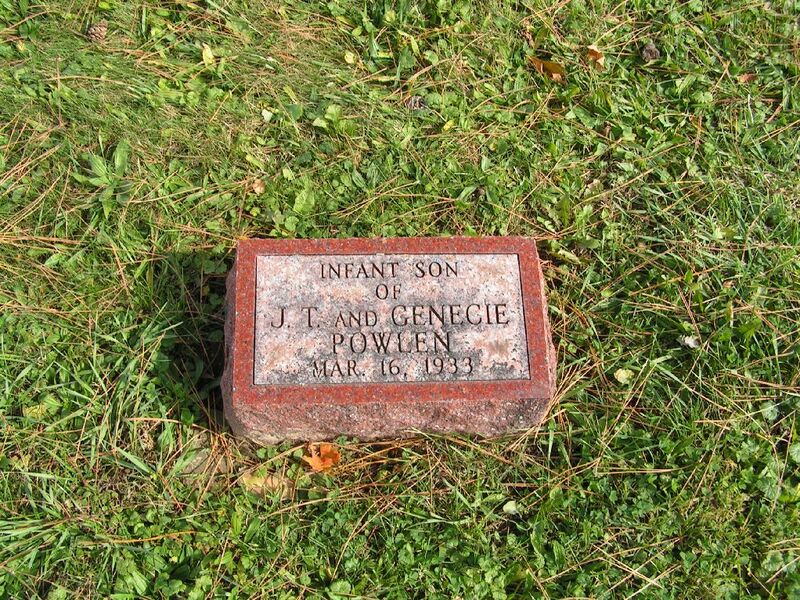 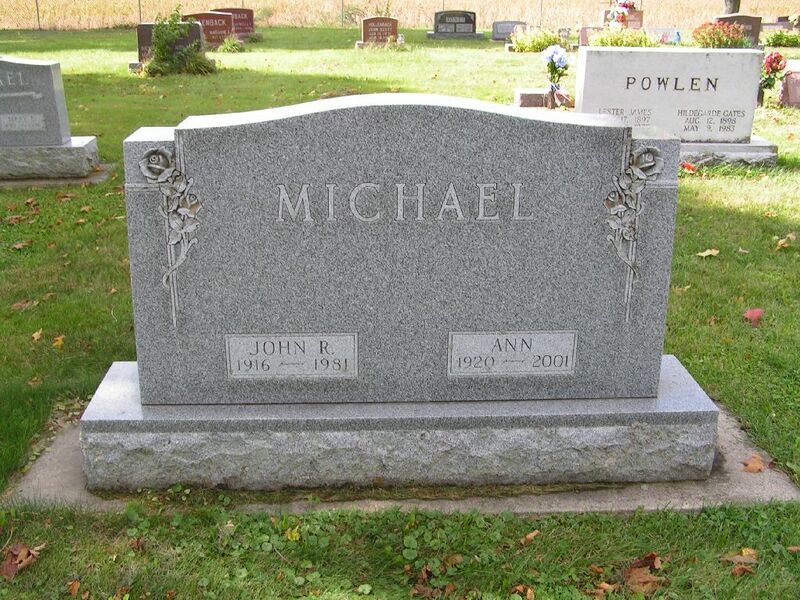 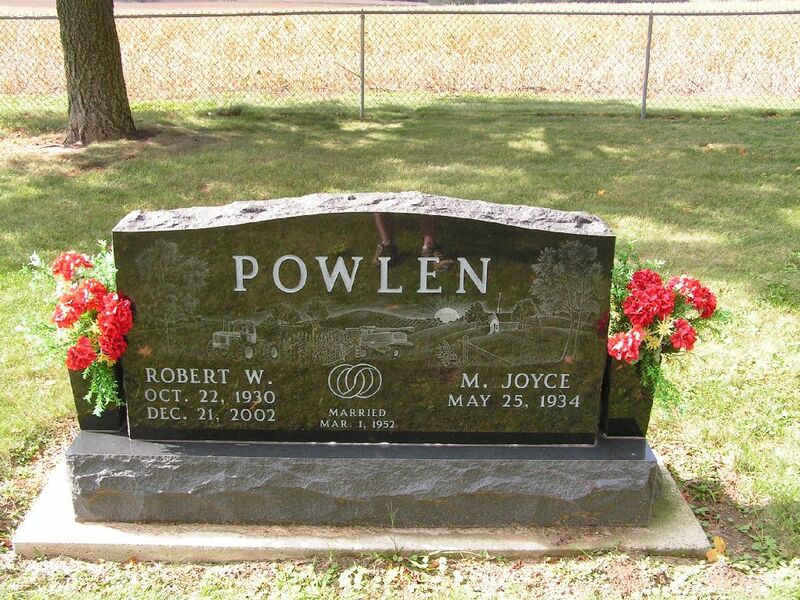 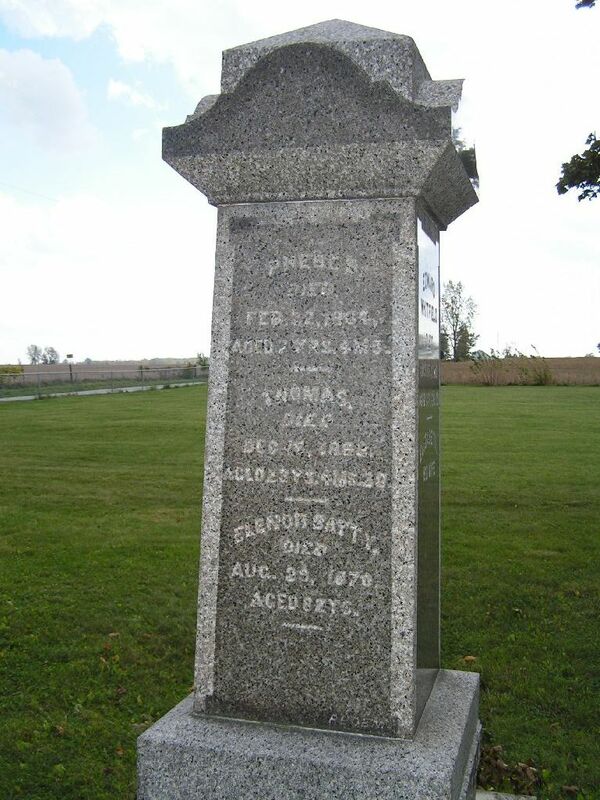 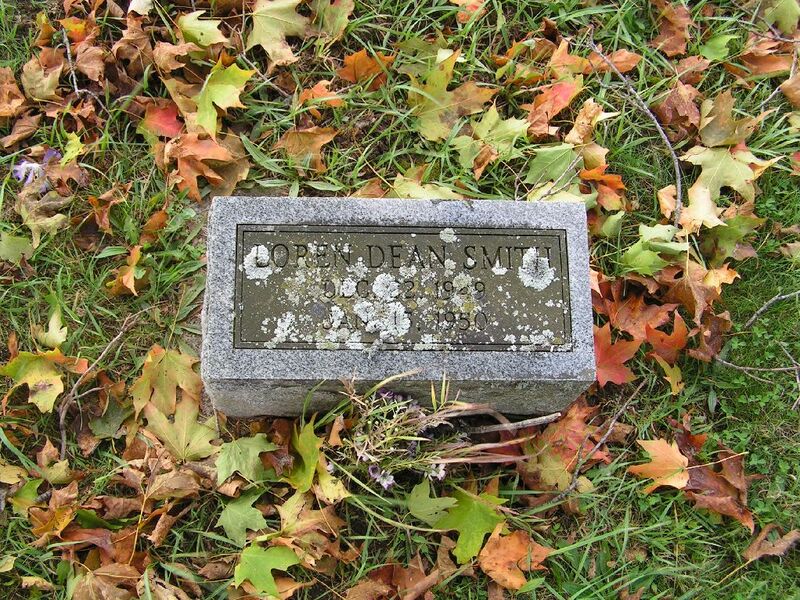 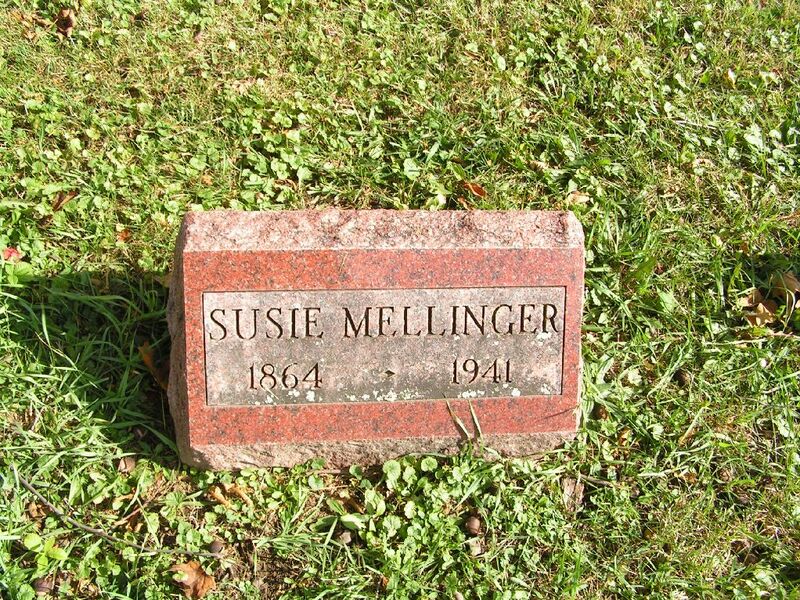 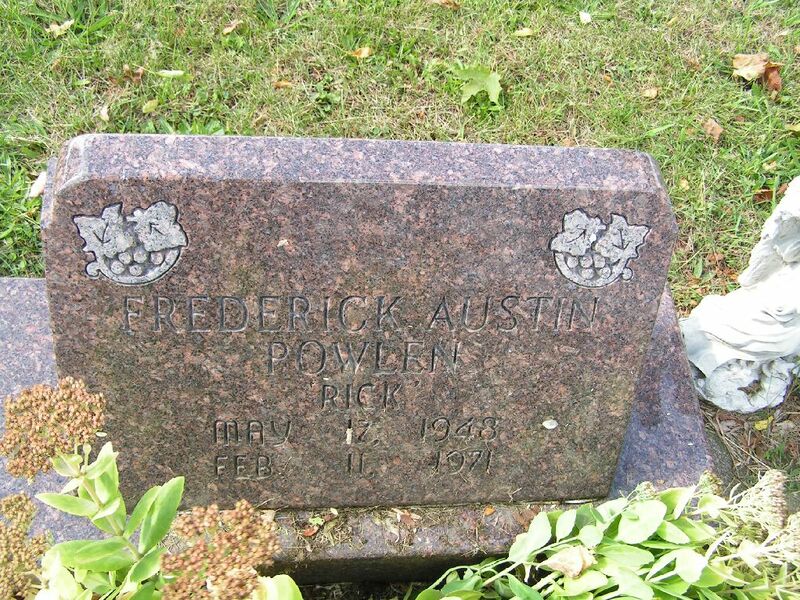 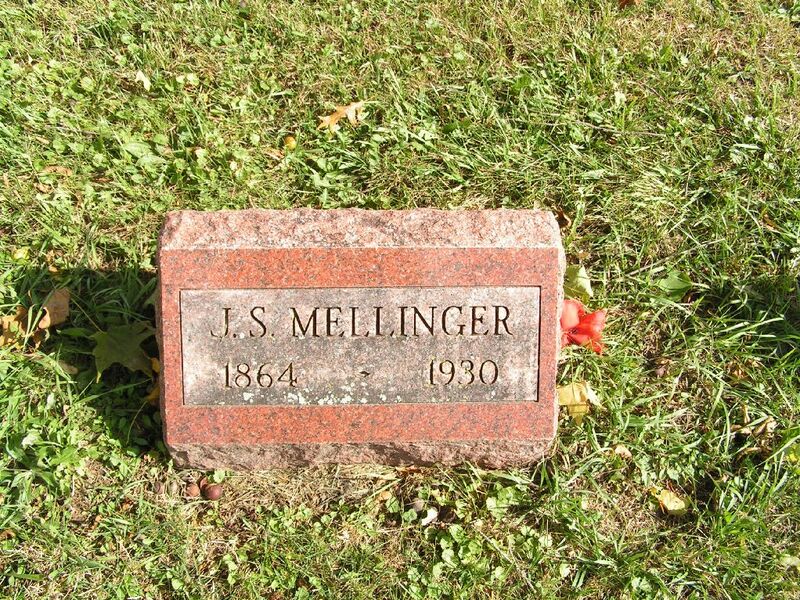 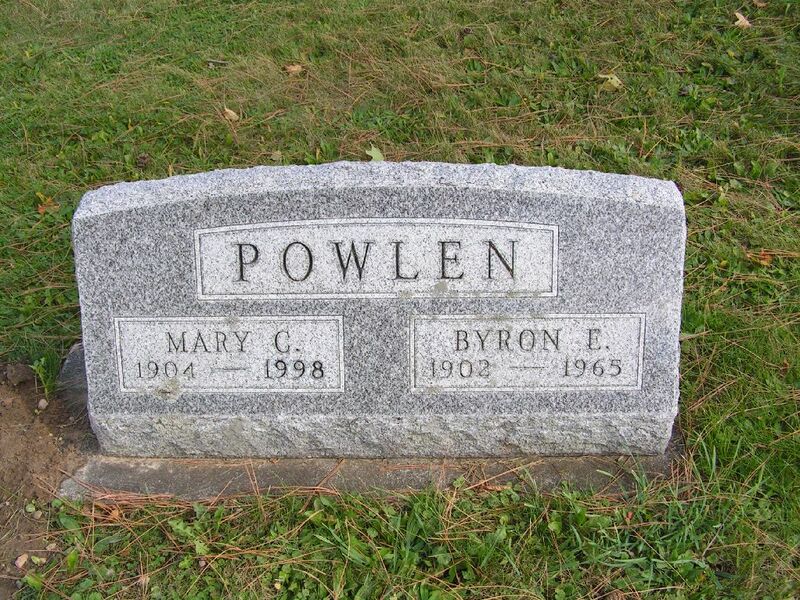 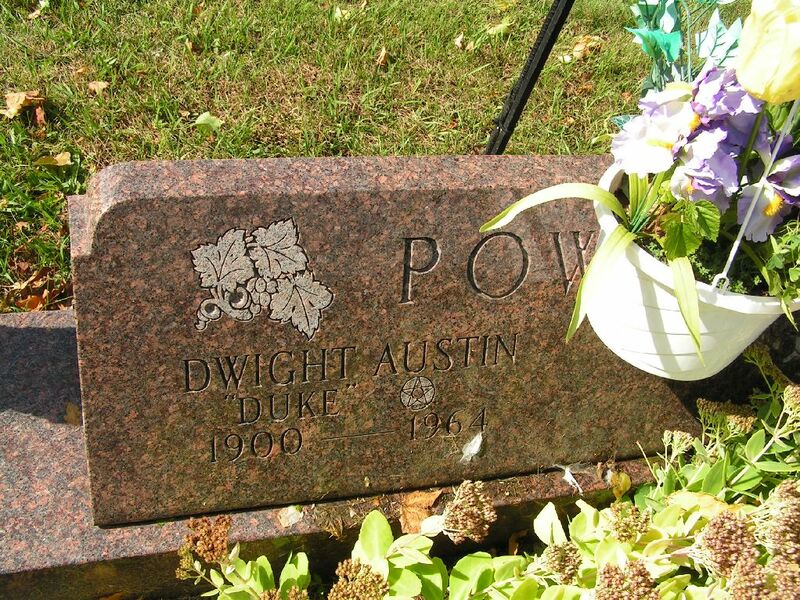 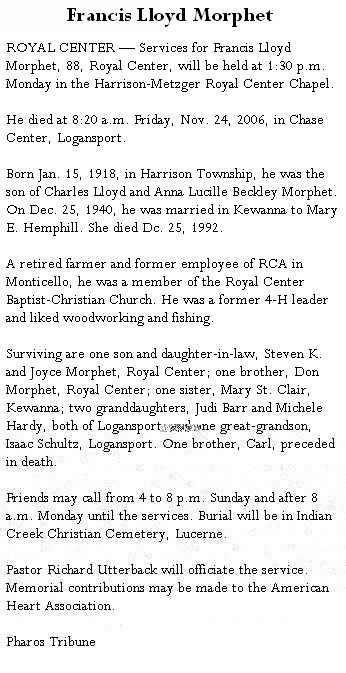 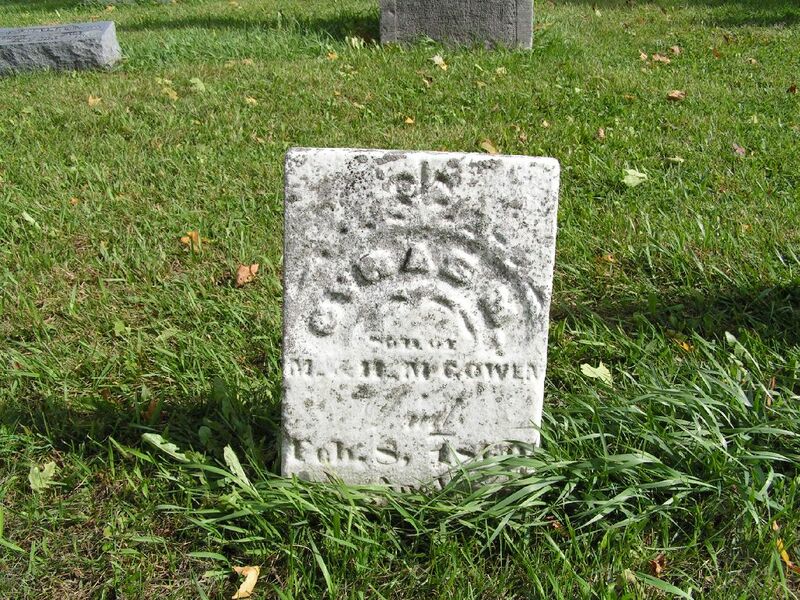 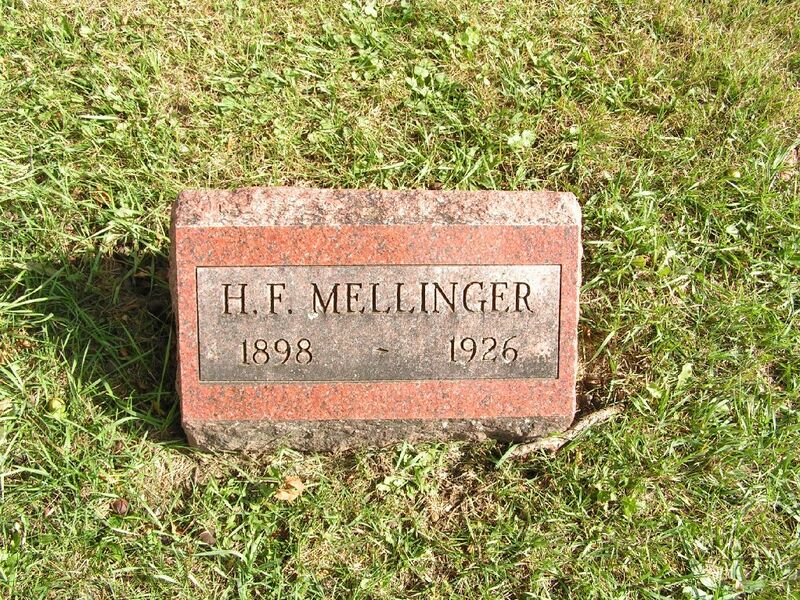 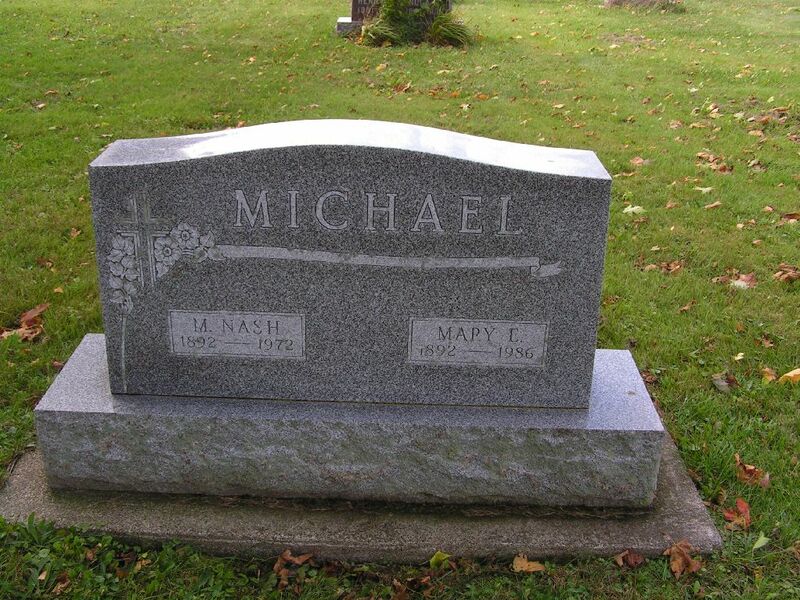 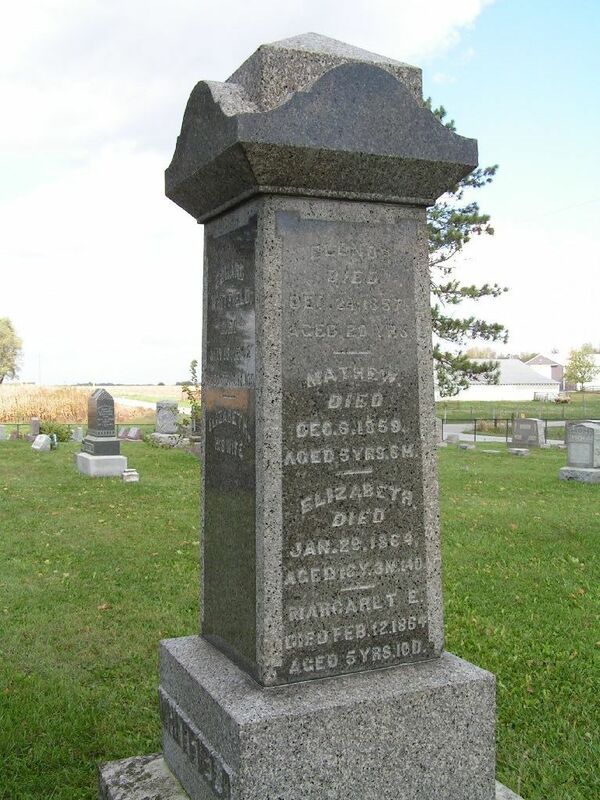 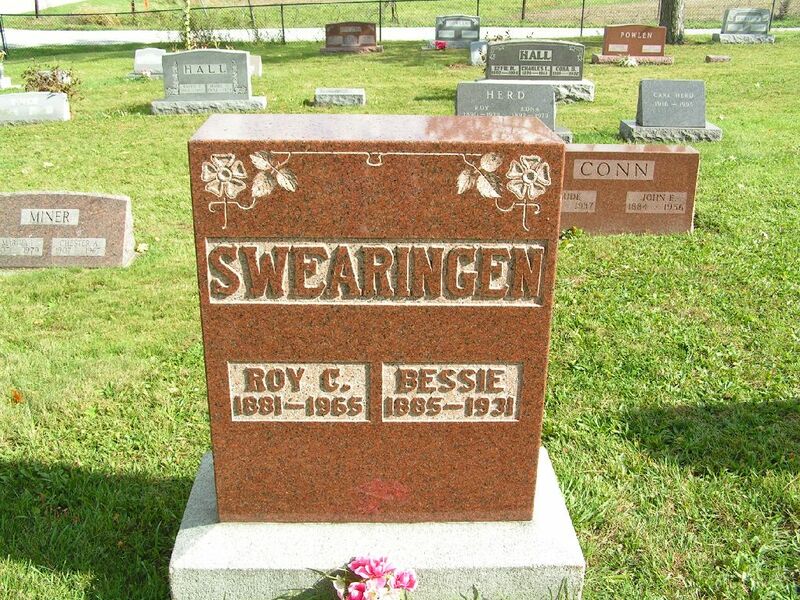 MCGOWEN Cyras M. 12 Feb 1837* 8 Feb 1860 22 s/o M & H.
MONTGOMERY Sarah 11 Nov 1868* 26 Aug 1870 21mo d/o P & A.E. 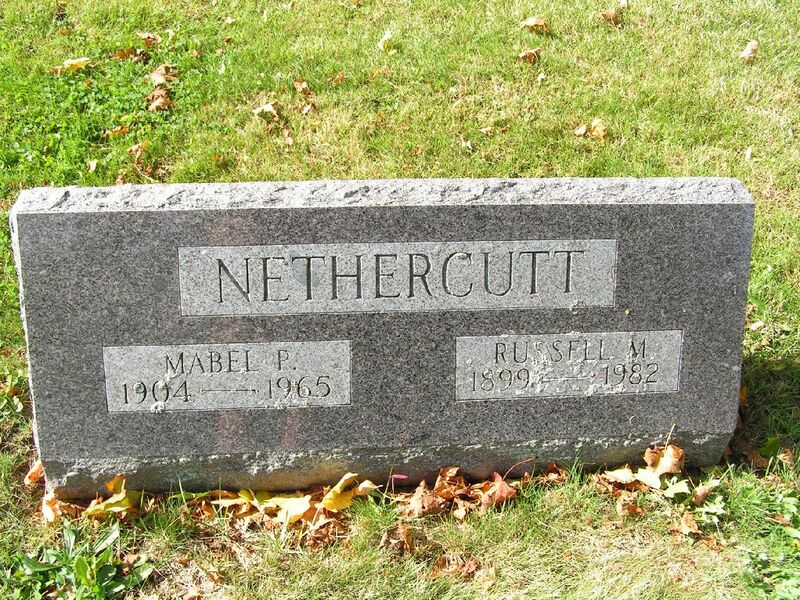 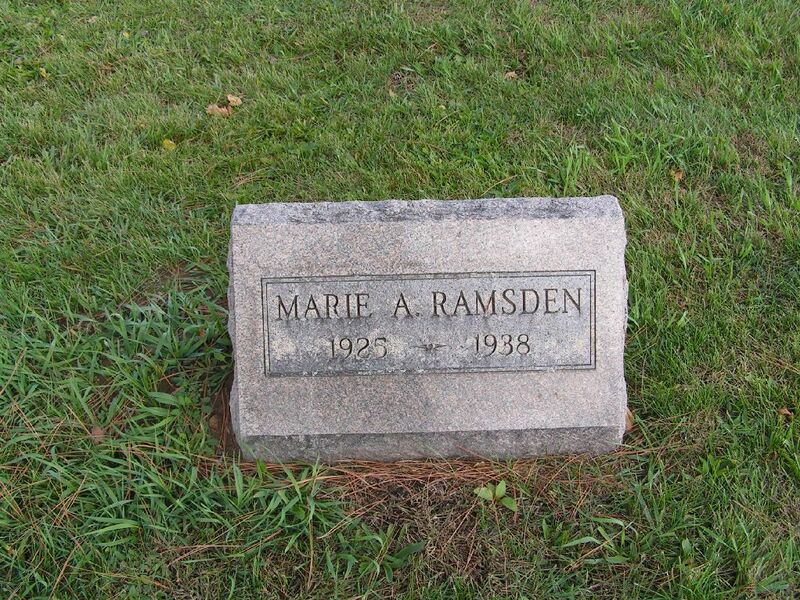 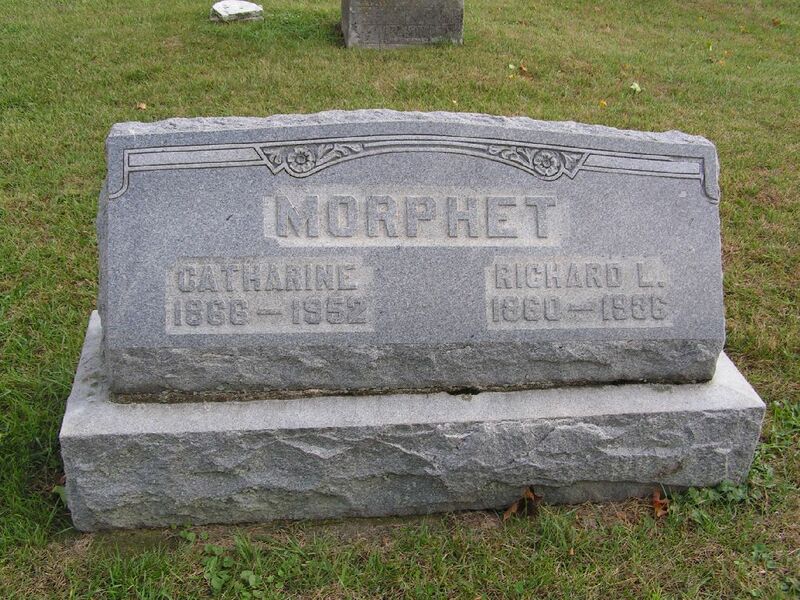 MORPHET Catharine Henderickson 24 Aug 1866 25 Dec 1952 86 ss/R.L. 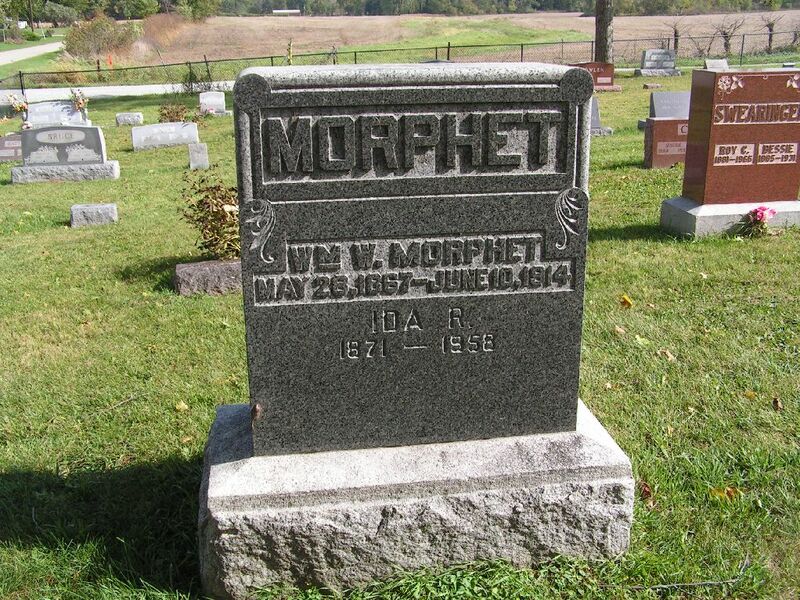 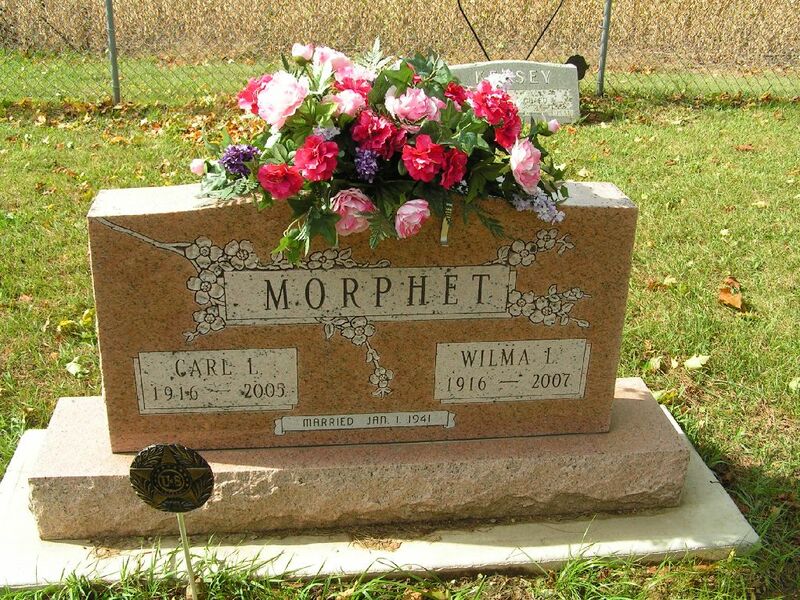 MORPHET Charlie L. 17 May 1878* 7 Aug 1879 14mo ss/John W. s/o John & S.J. 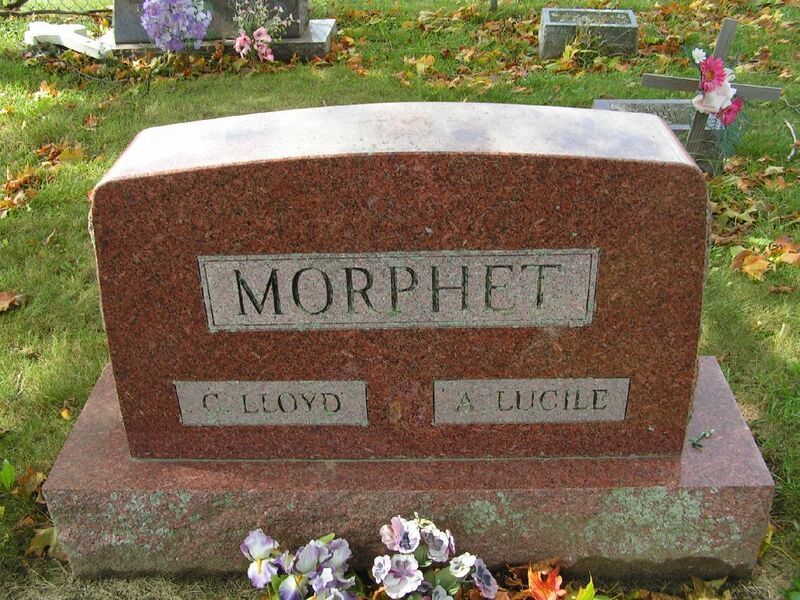 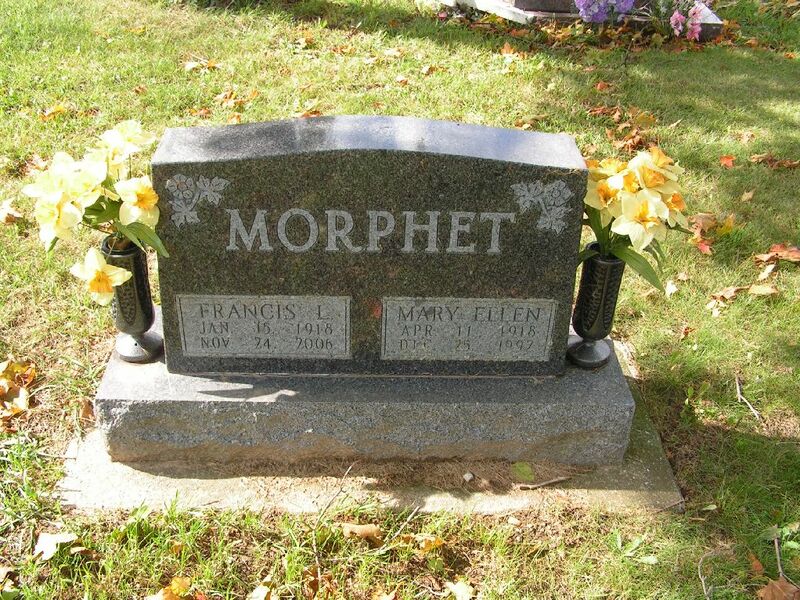 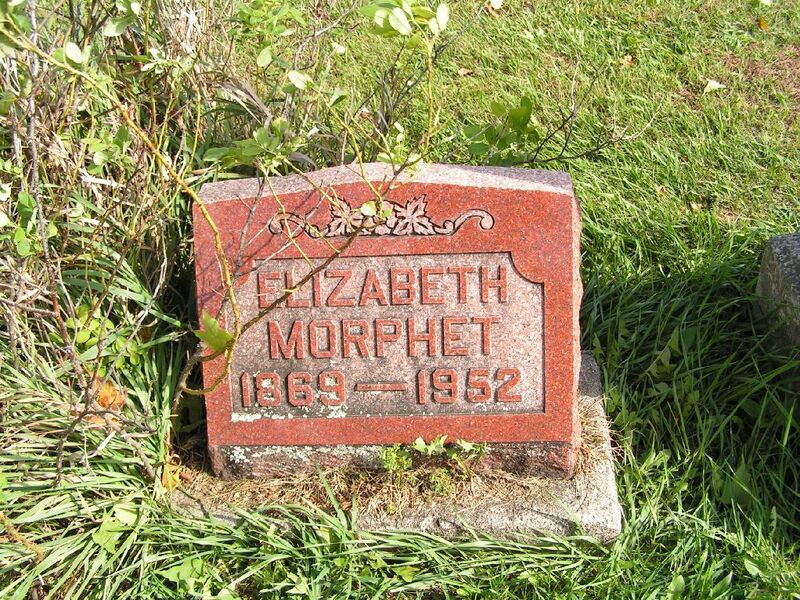 MORPHET John 17 Aug 1831 4 Mar 1909 77 h/o & ss/S.J. 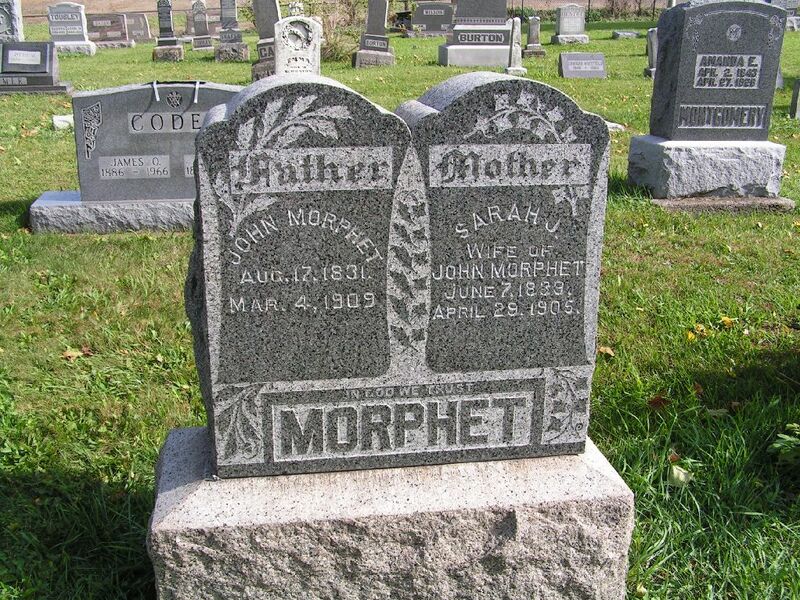 MORPHET John W. 11 Apr 1862* 21 Nov 1887 25 ss/ Charlie L. s/o John & S.J. 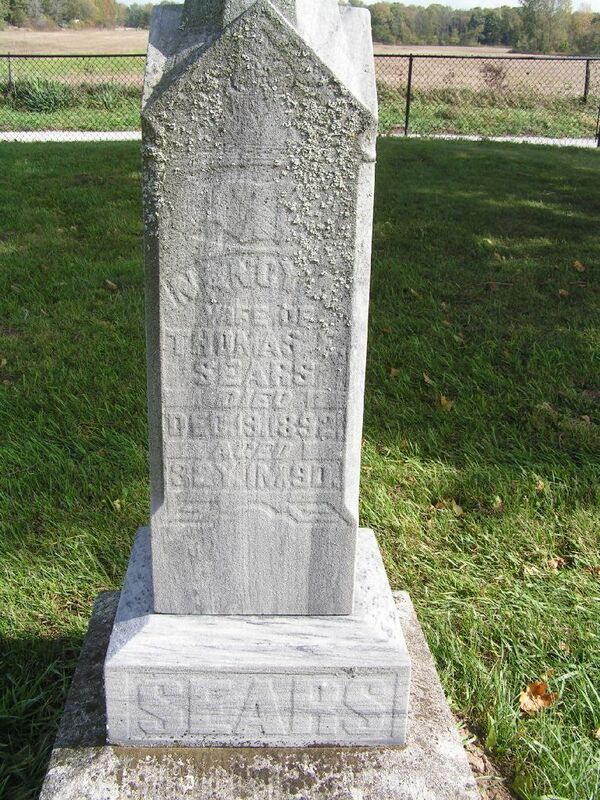 SEARS Nancy A. 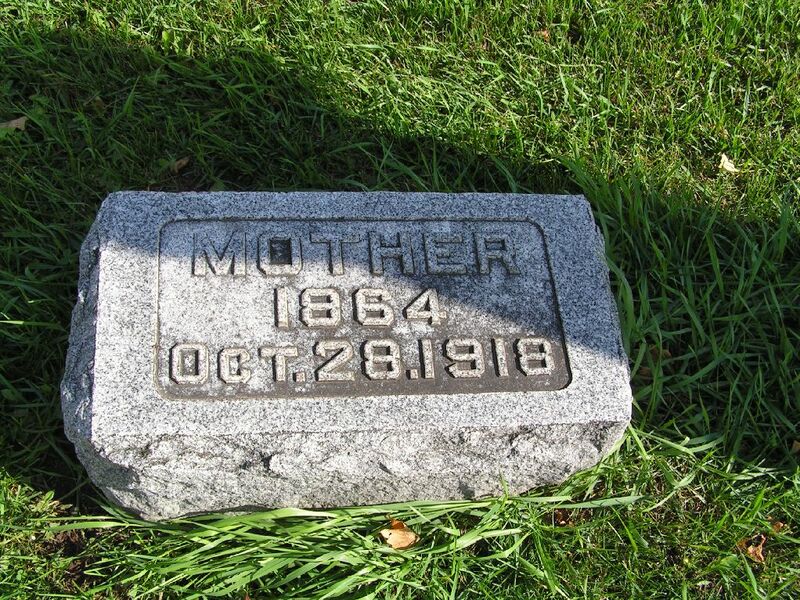 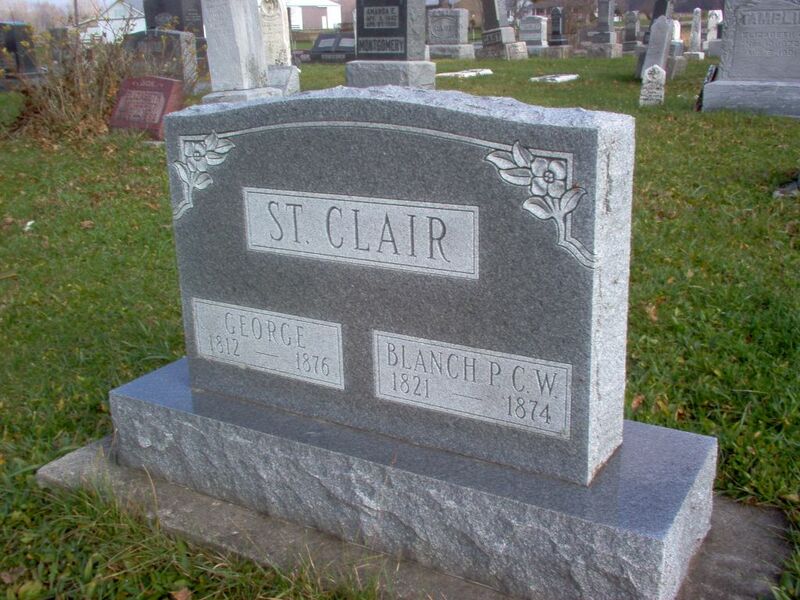 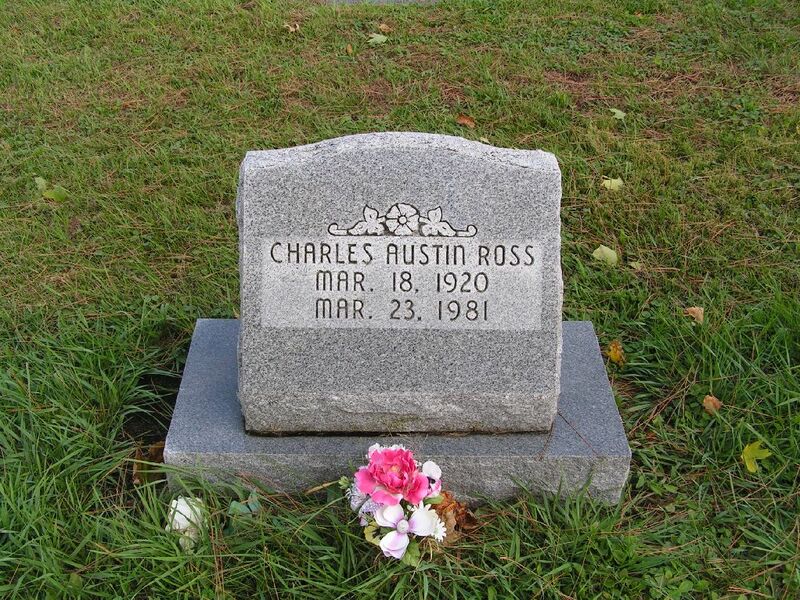 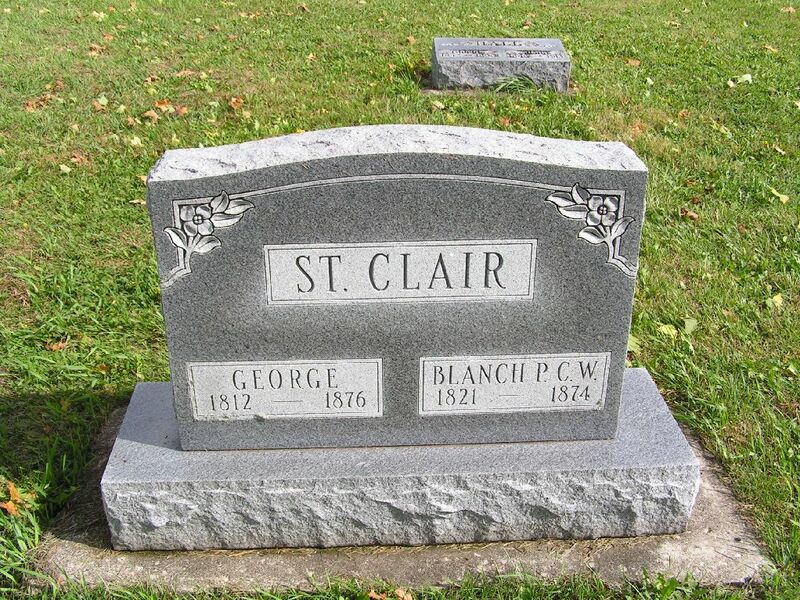 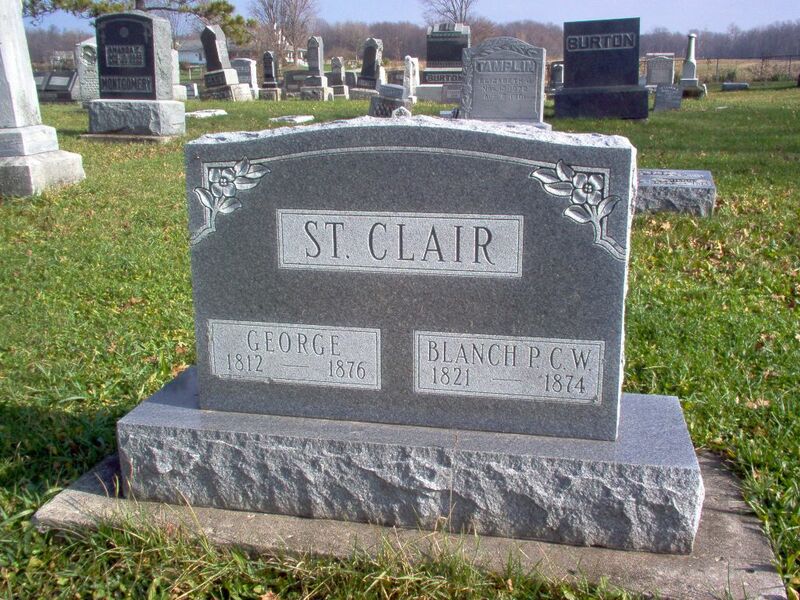 10 Nov 1860* 19 Dec 1892 32 w/o Thos. 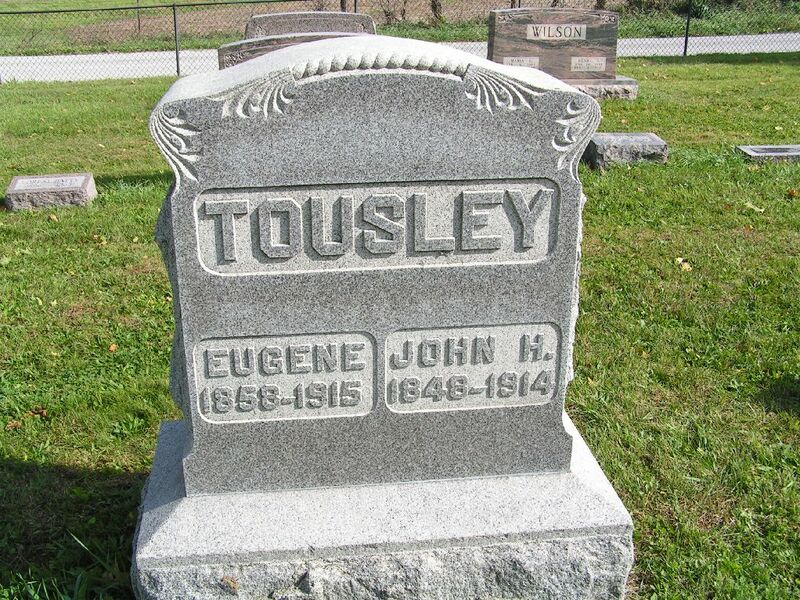 E.
TOUSLEY Eugene 1858 1915 ss/J.H. 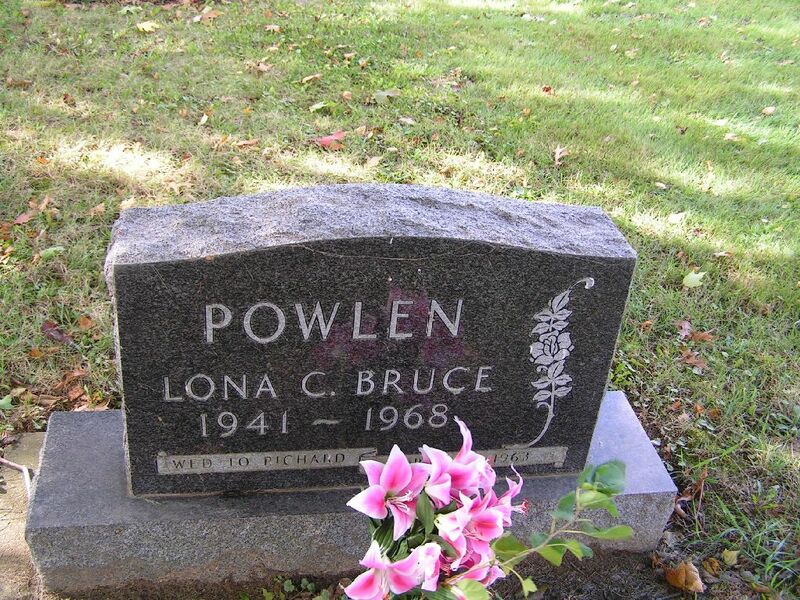 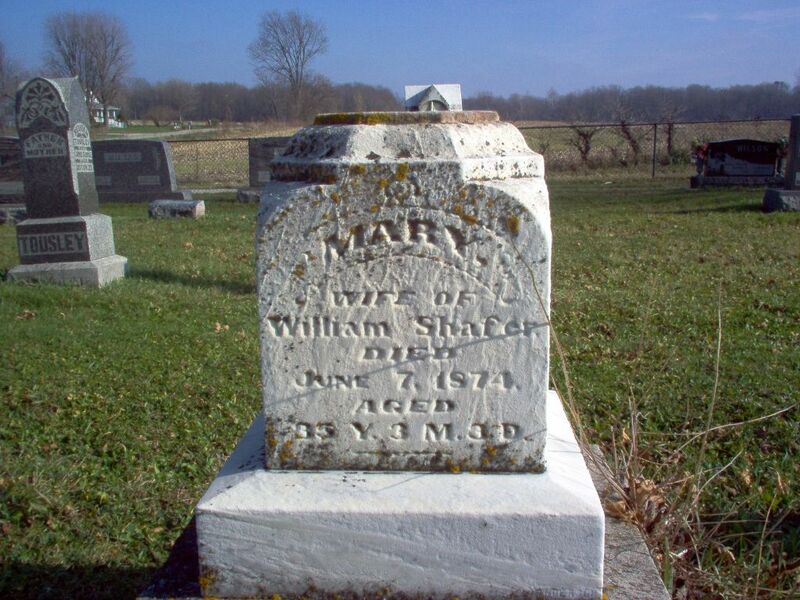 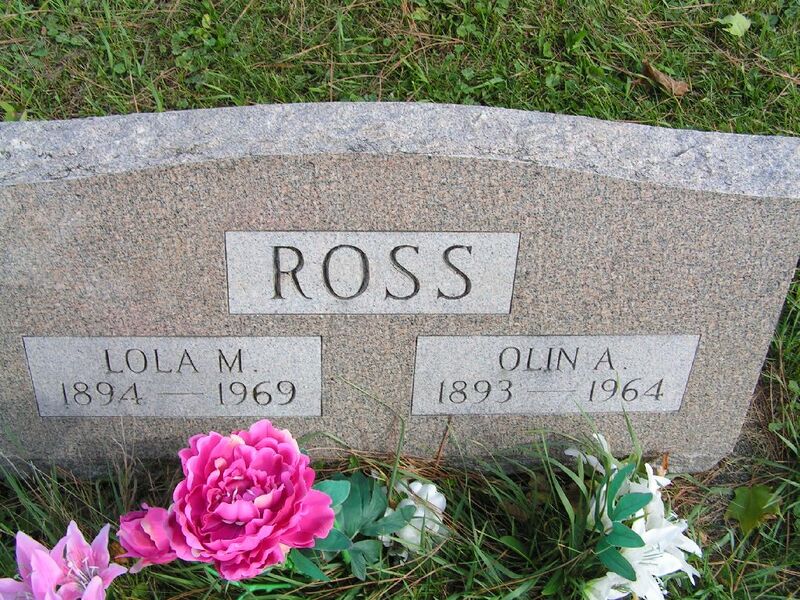 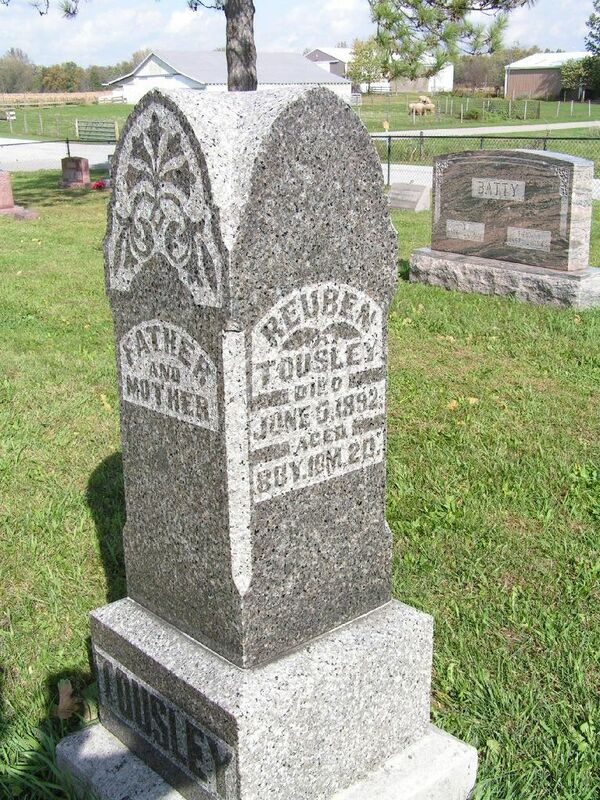 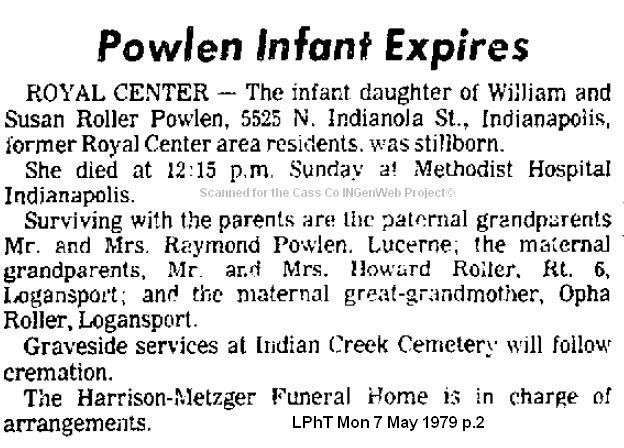 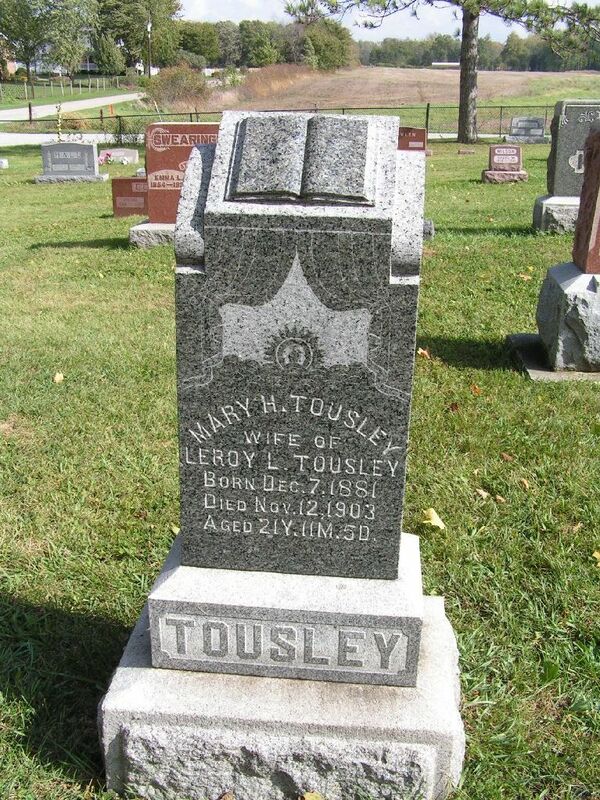 TOUSLEY Mary H. 7 Dec 1881 12 Nov 1903 21 w/o LeRoy L.
TOUSLEY Reuben 3 Aug 1811* 5 Jun 1892 80 h/o Sarah E.
UNKNOWN Lily 23 Jun 19?? 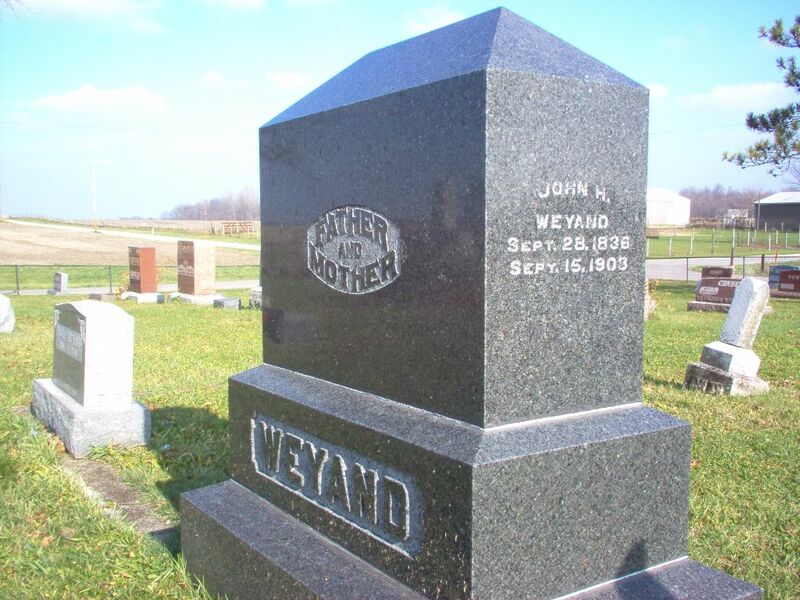 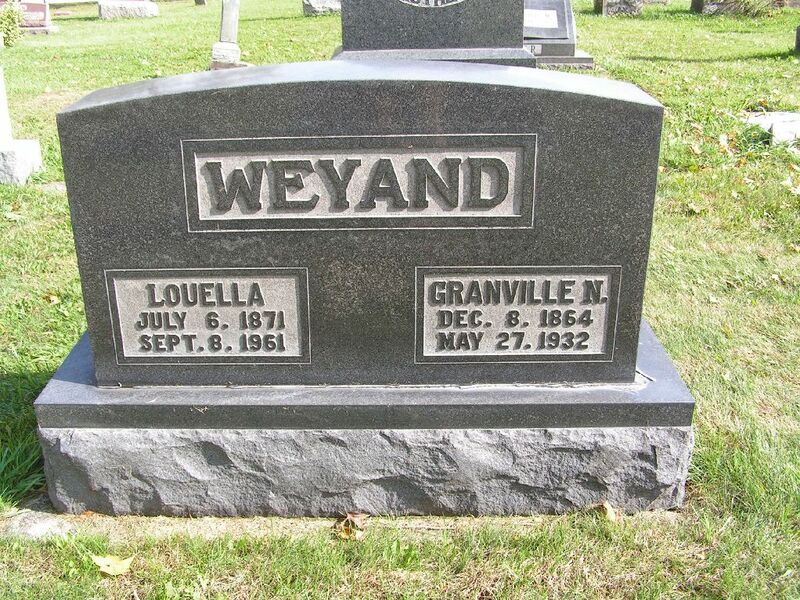 WEYLAND John H. 28 Sep 1836 15 Sep 1903 66 h/o S.S.
WEYLAND Louella 6 Jul 1871 8 Sep 1961 90 ss/G.N. 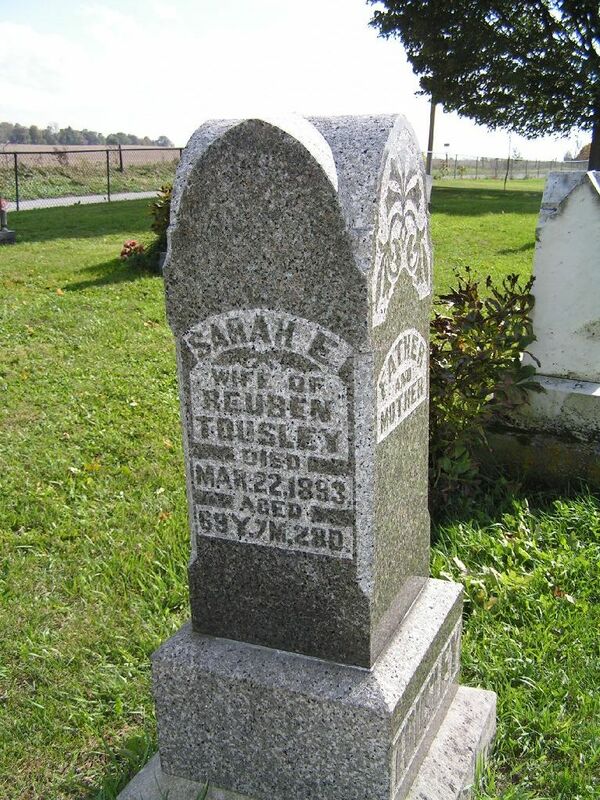 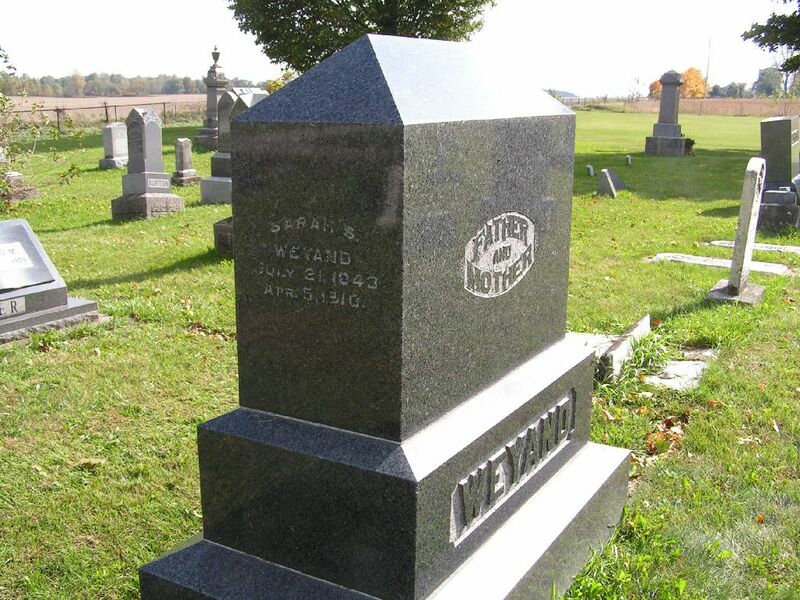 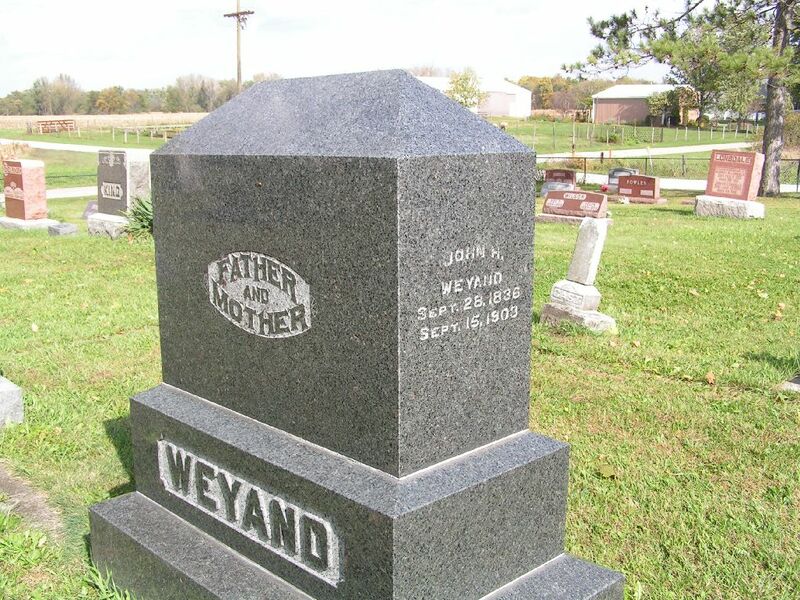 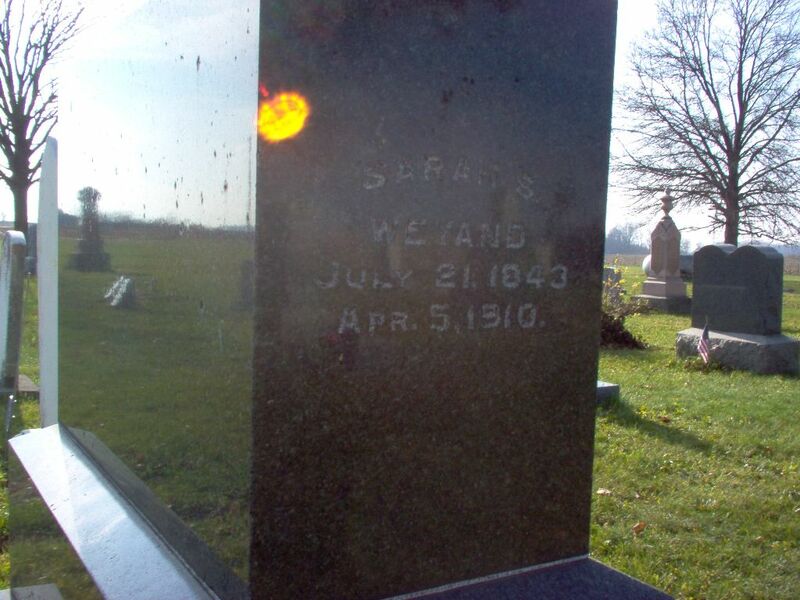 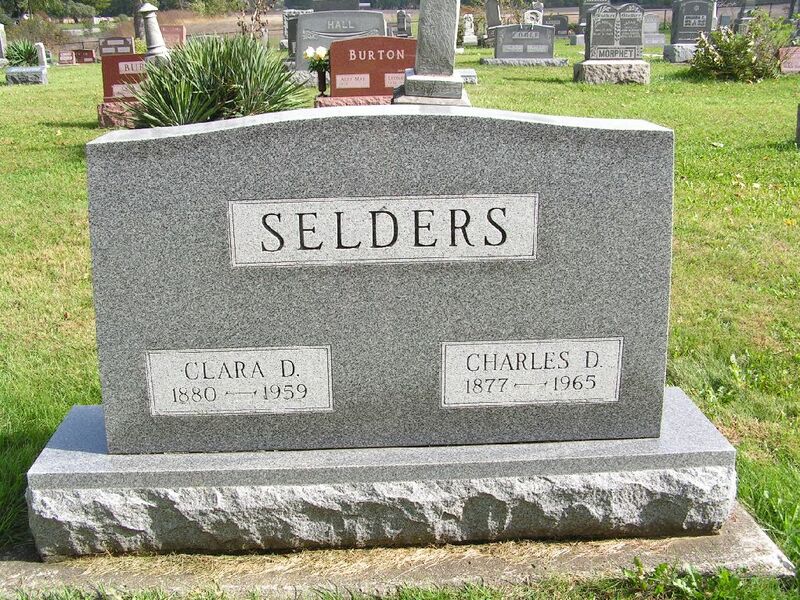 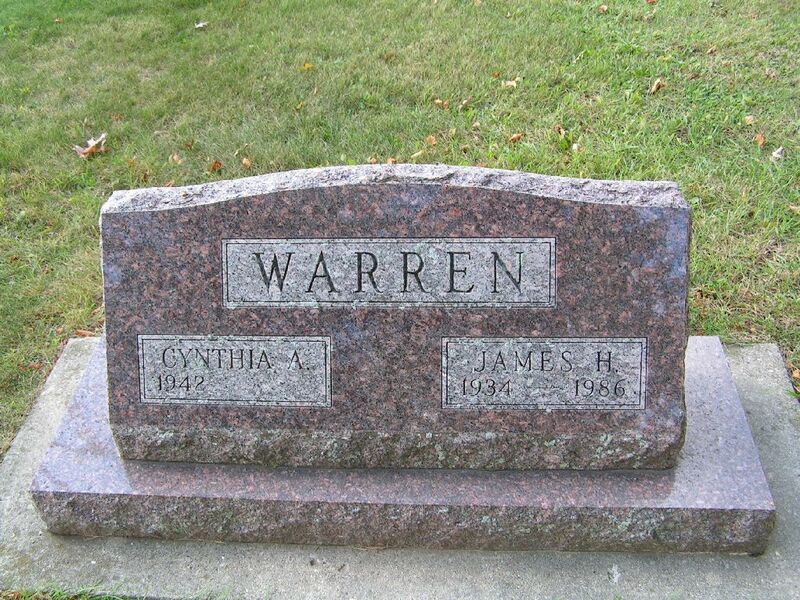 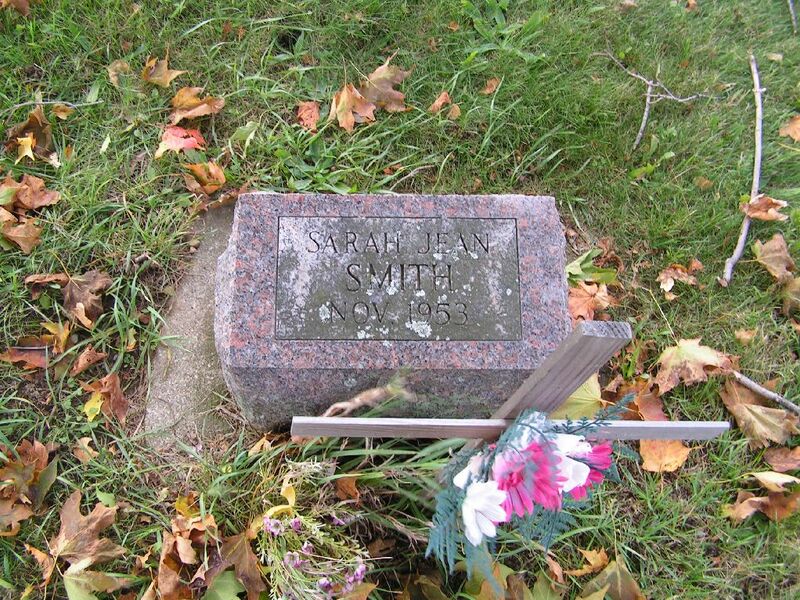 WEYLAND Sarah S. 21 Jul 1843 5 Apr 1910 66 w/o J.H. 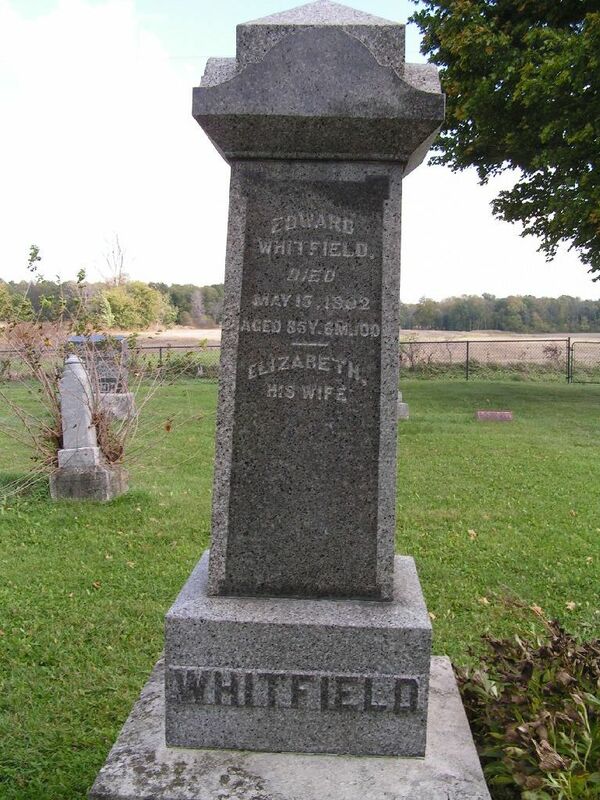 WHITFIELD Dorathe E. 30 Dec 1869* 10 Mar 1875 5 ss/John E. d/o Edward & Lumna? 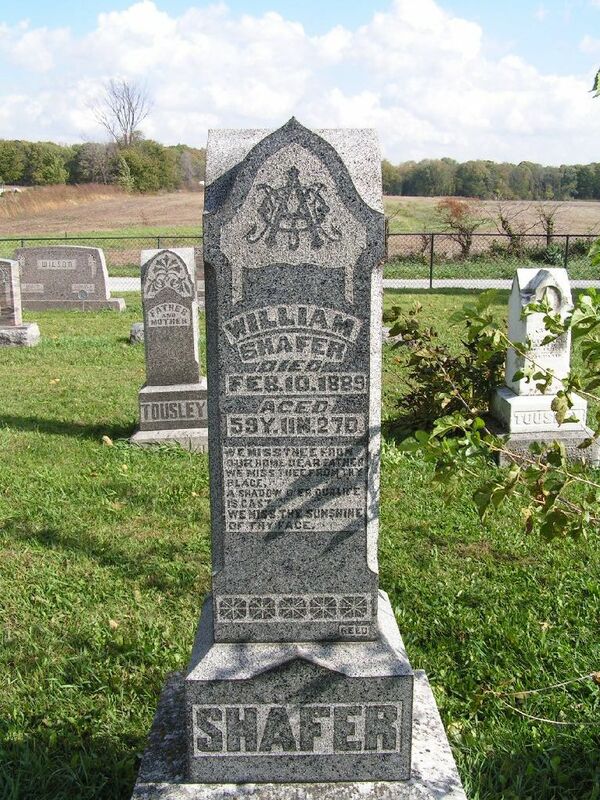 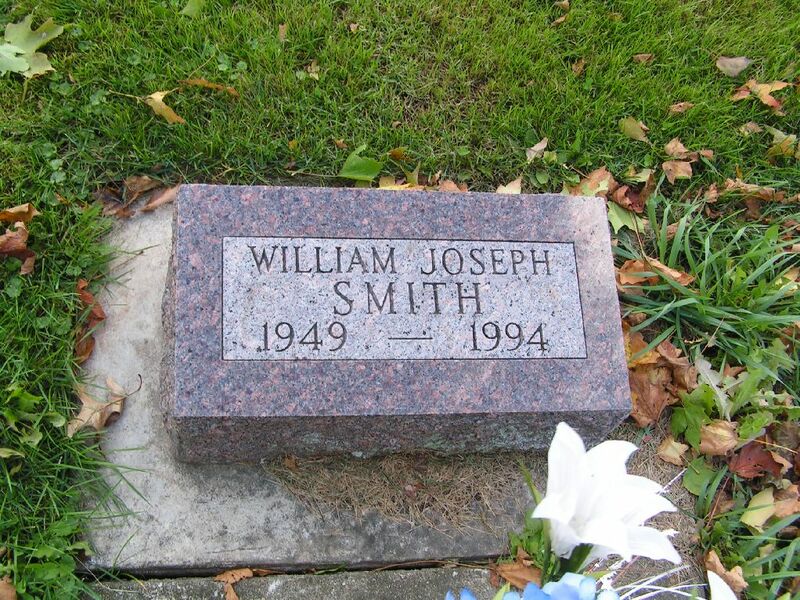 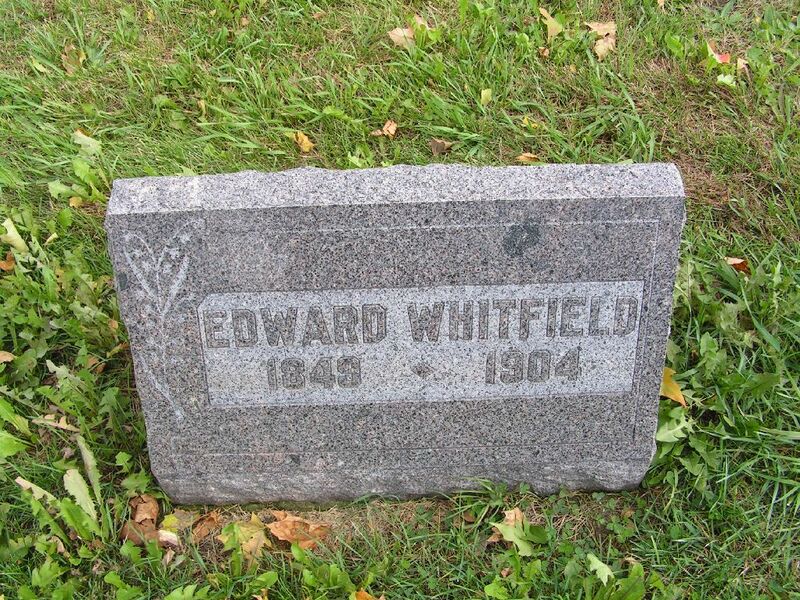 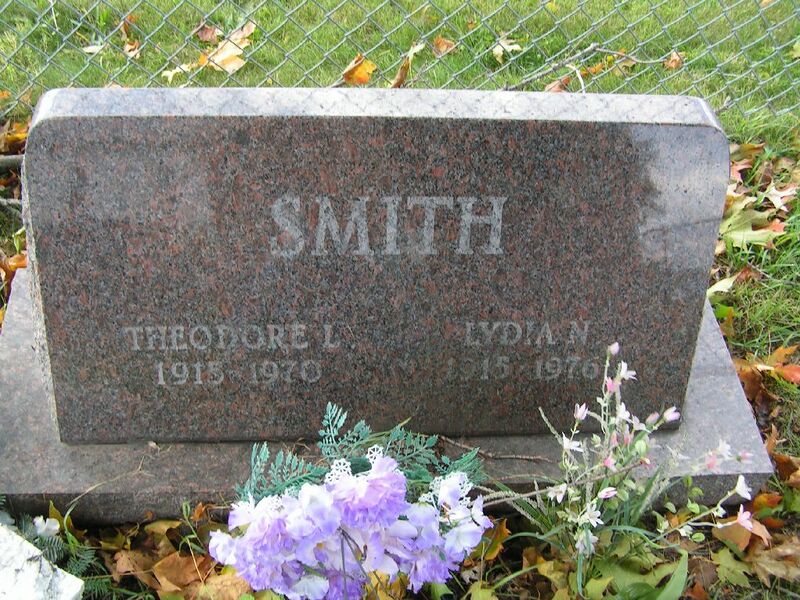 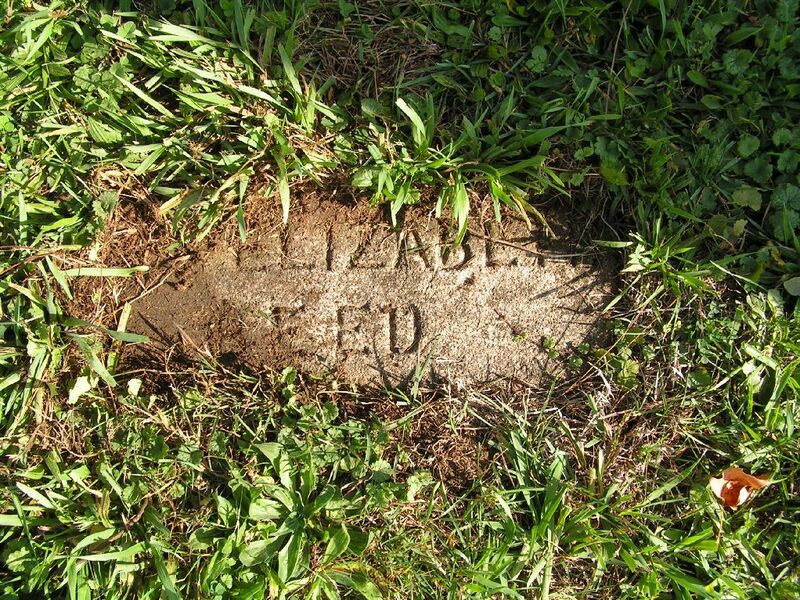 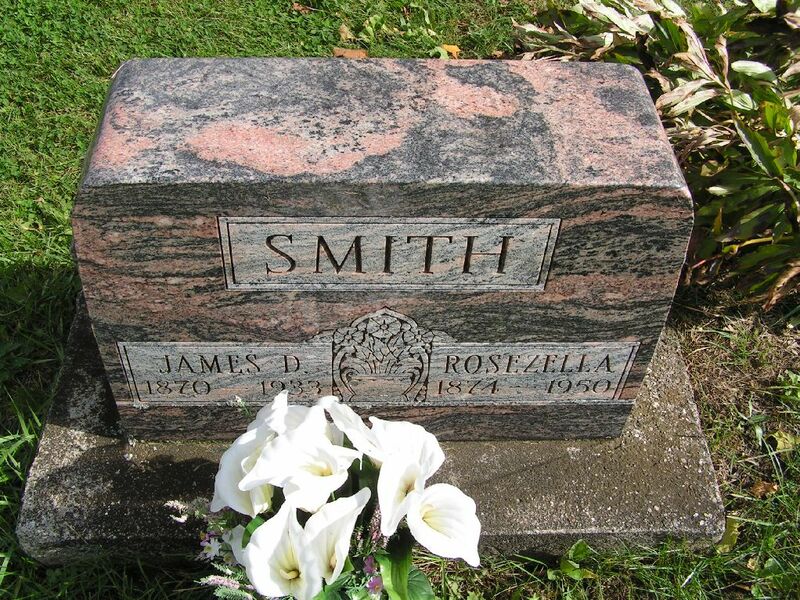 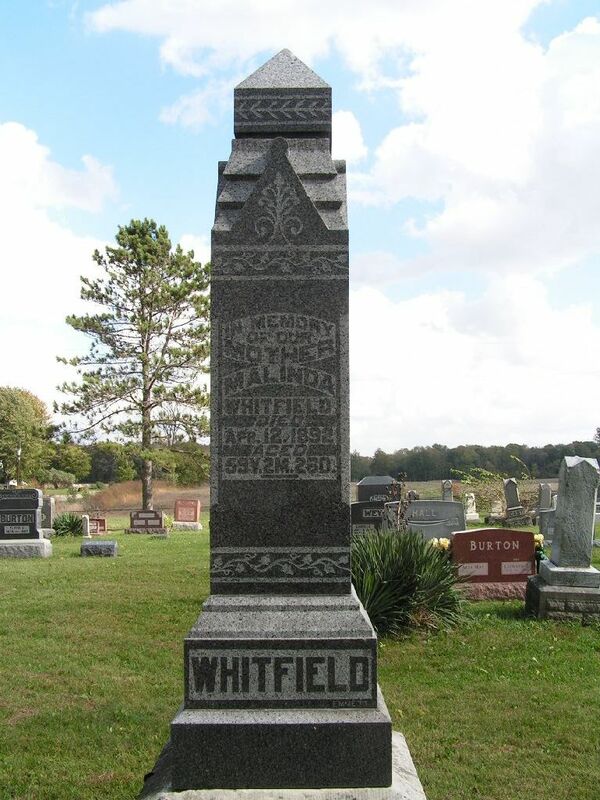 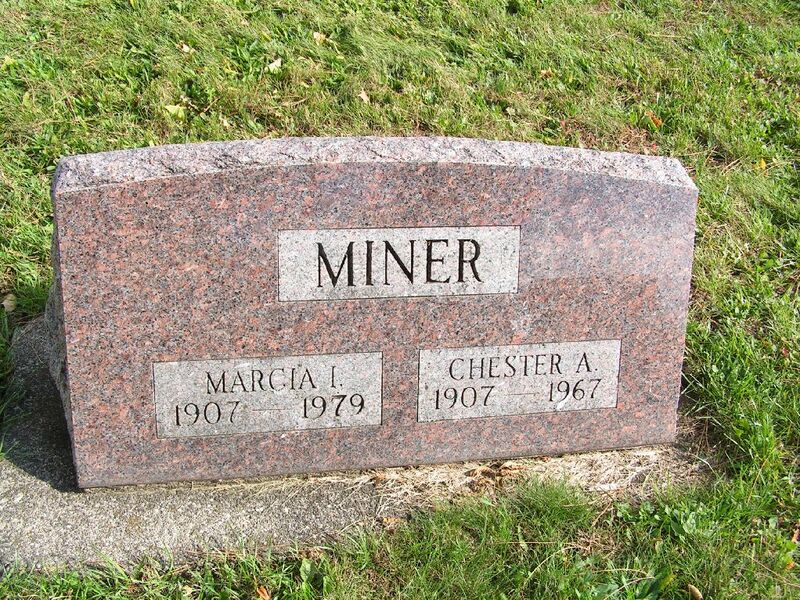 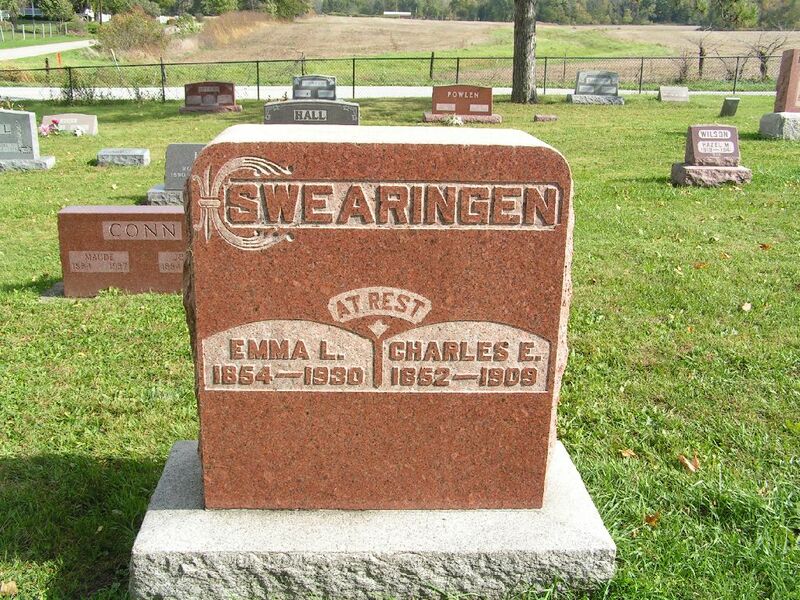 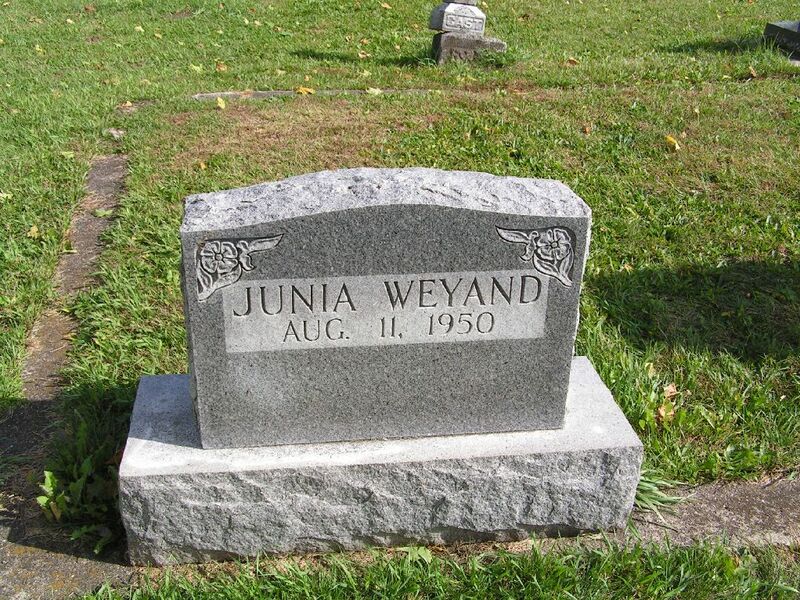 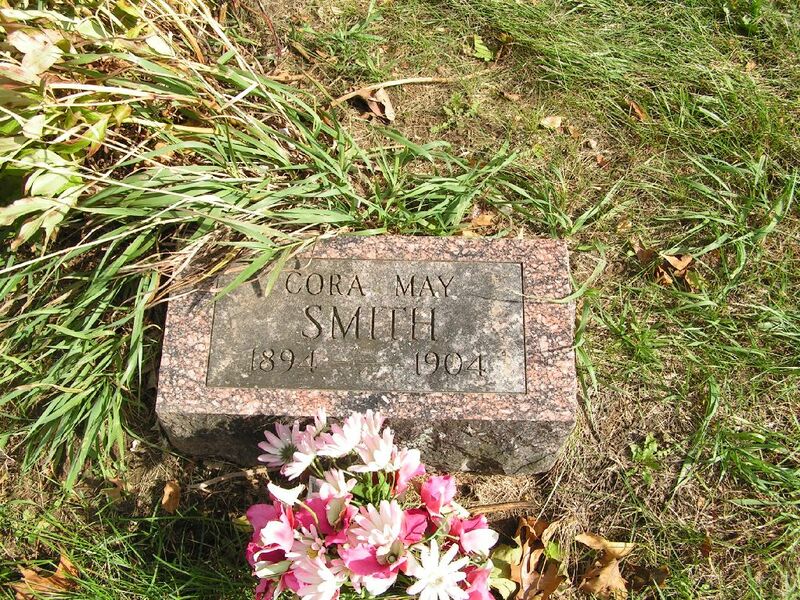 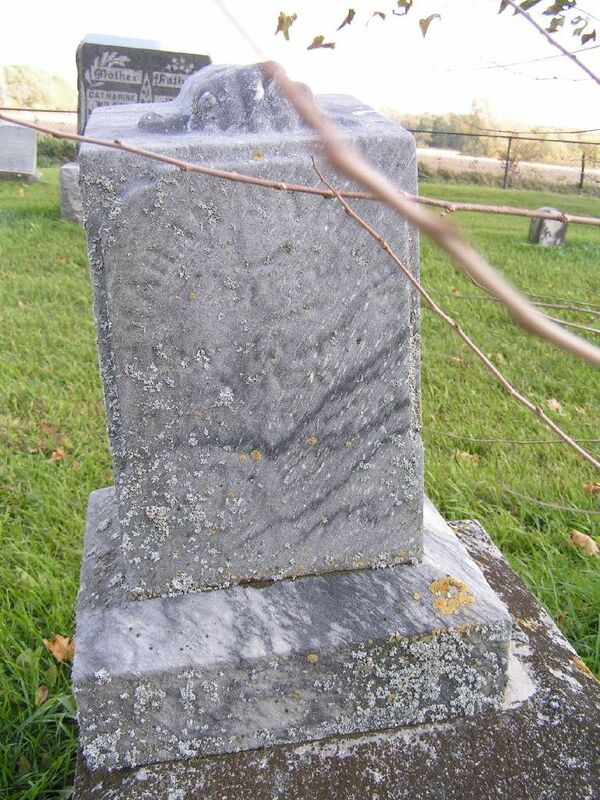 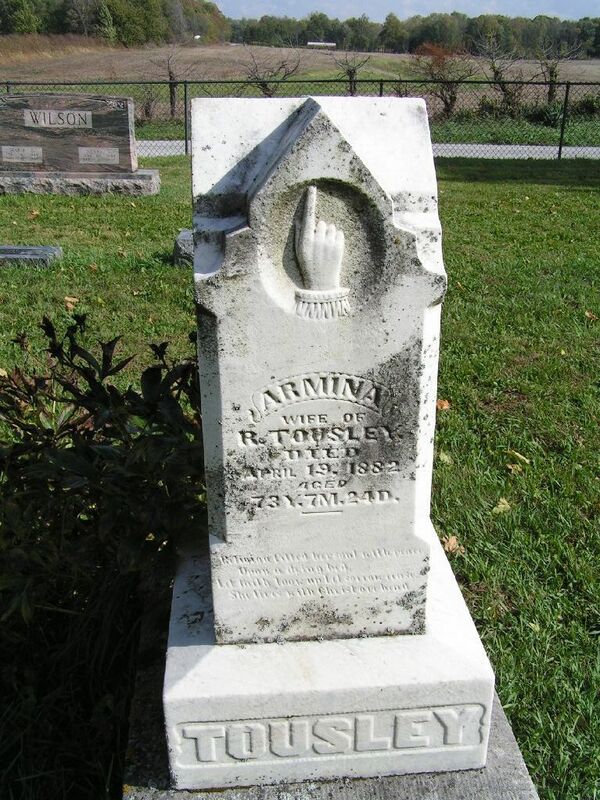 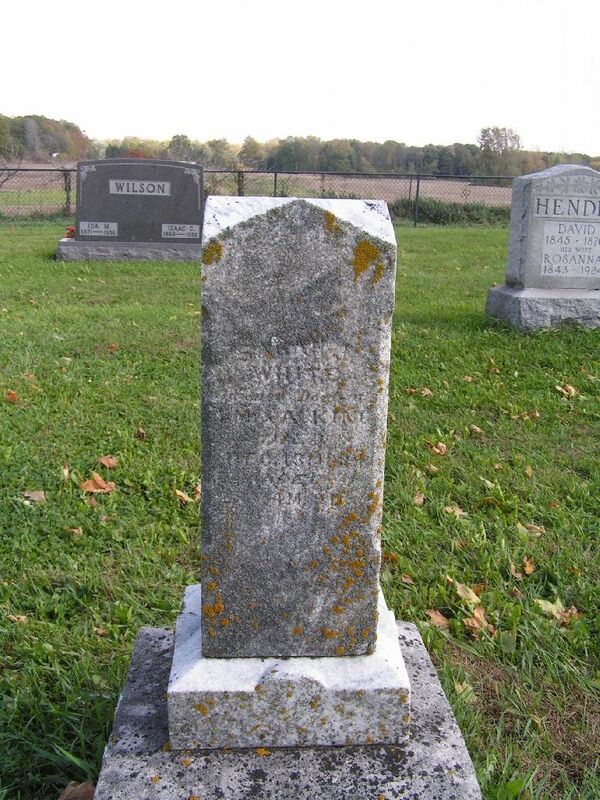 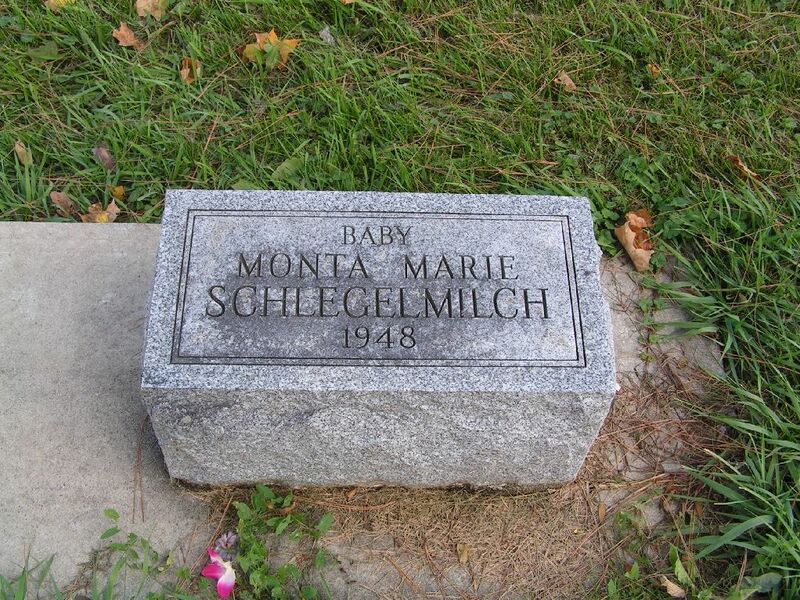 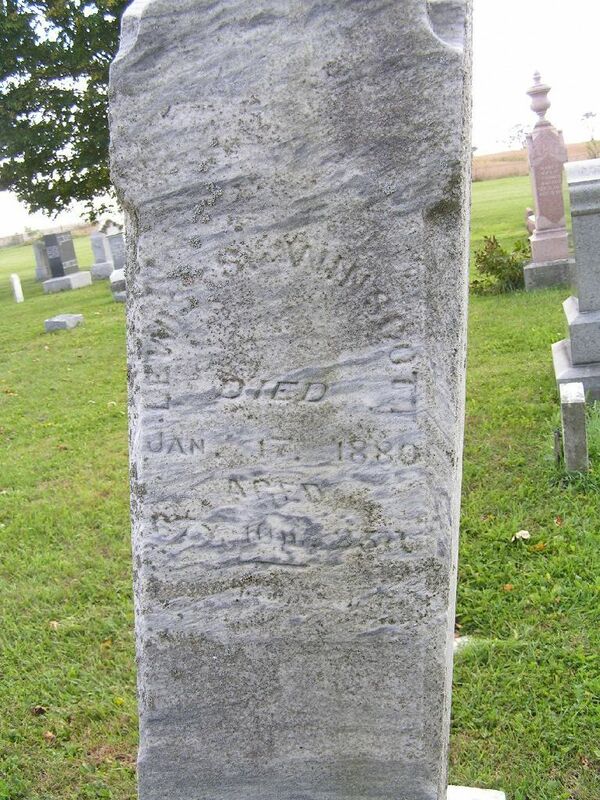 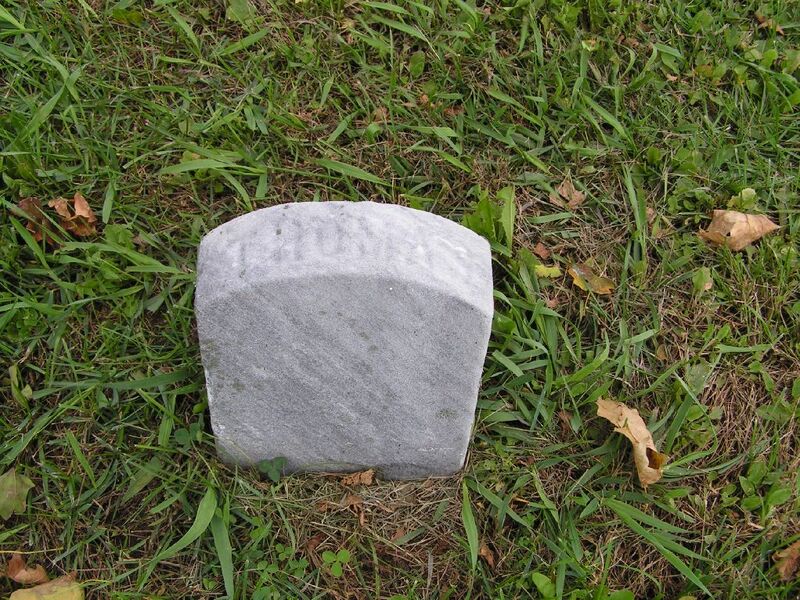 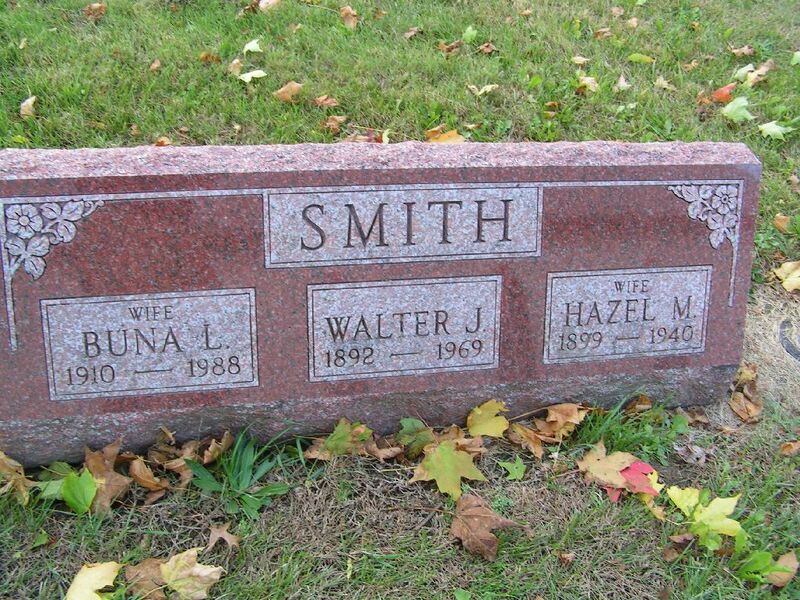 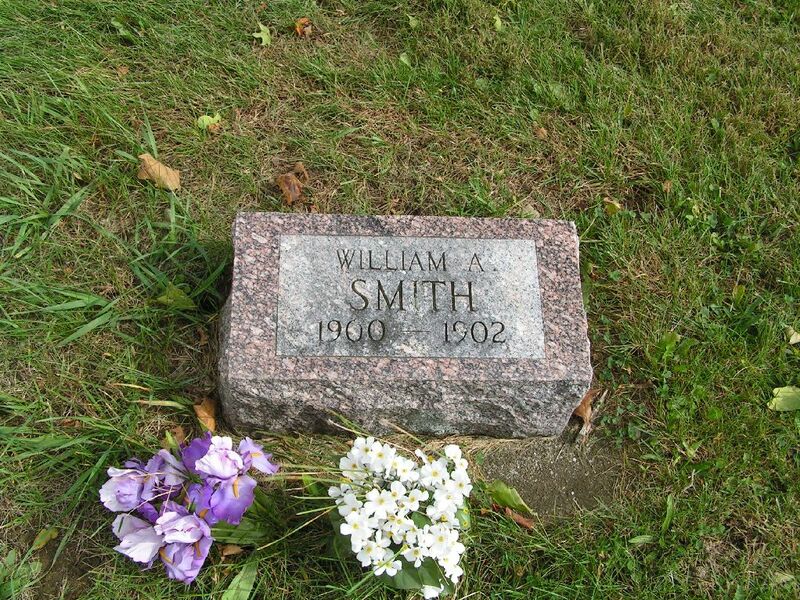 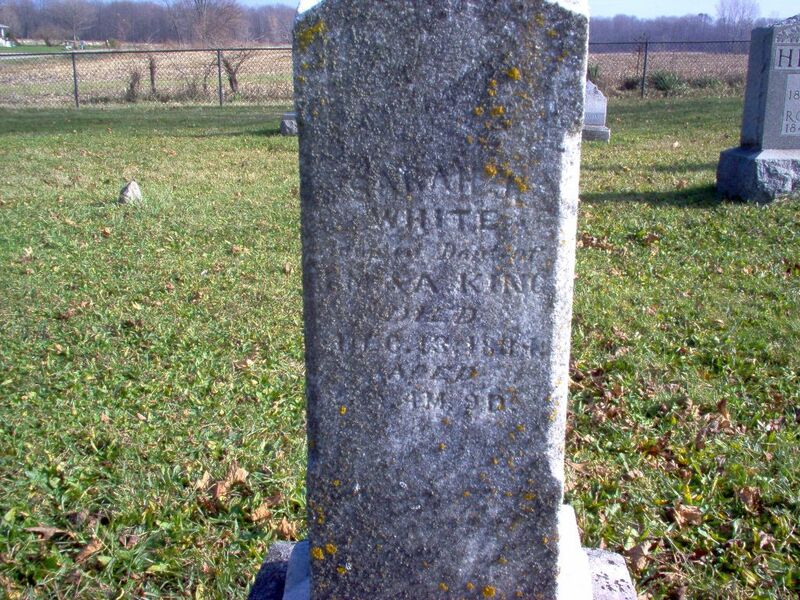 WHITFIELD John E. 26 May 1871 5mo ss/Dorathe E. s/o Edward & Lumna? 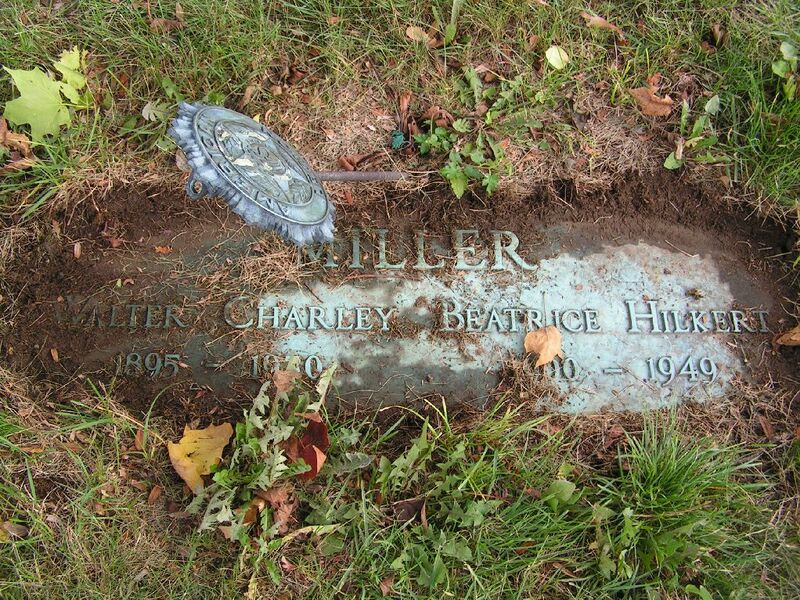 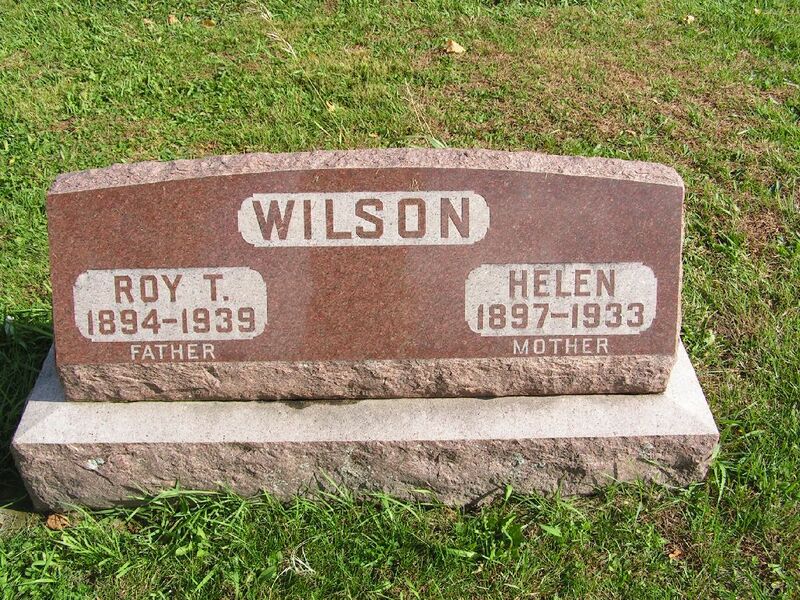 WILSON Helen Burton 1897 5 Mar 1933 w/o & ss/Roy T.
WILSON Henry N. 20 Jun 1859 4 Dec 1957 98 ss/M.E. 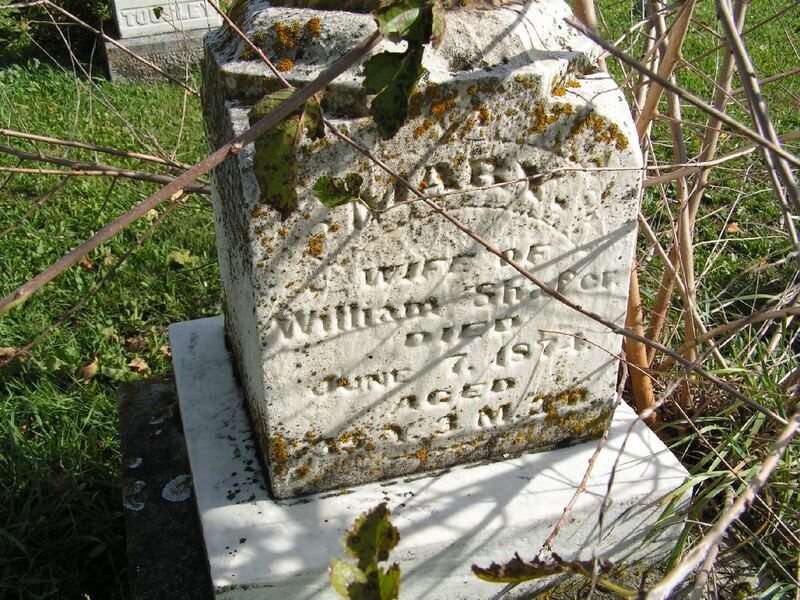 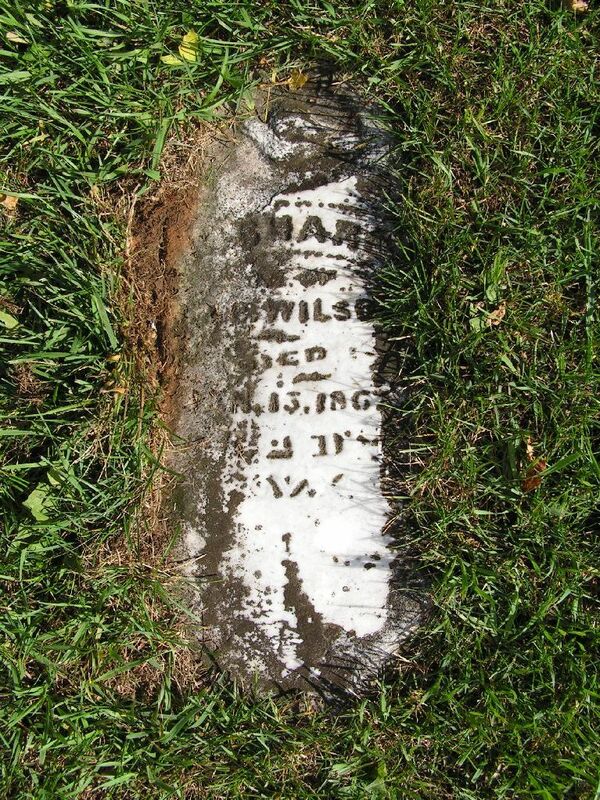 WILSON Maria E. 9 Feb 1865 9 Nov 1940 75 ss/H.N. 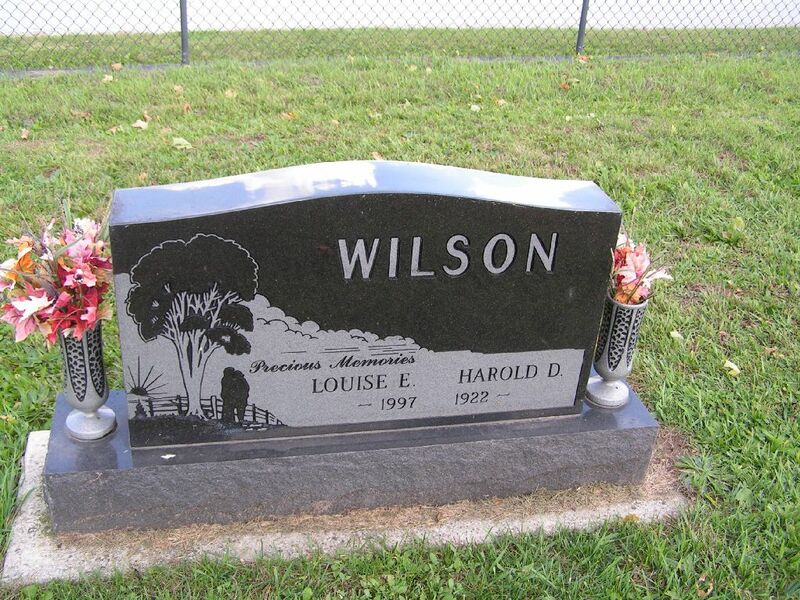 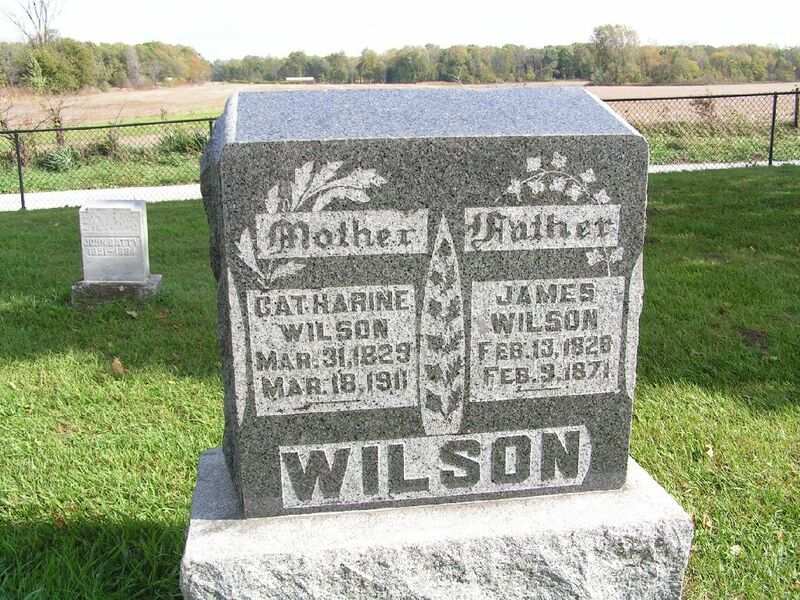 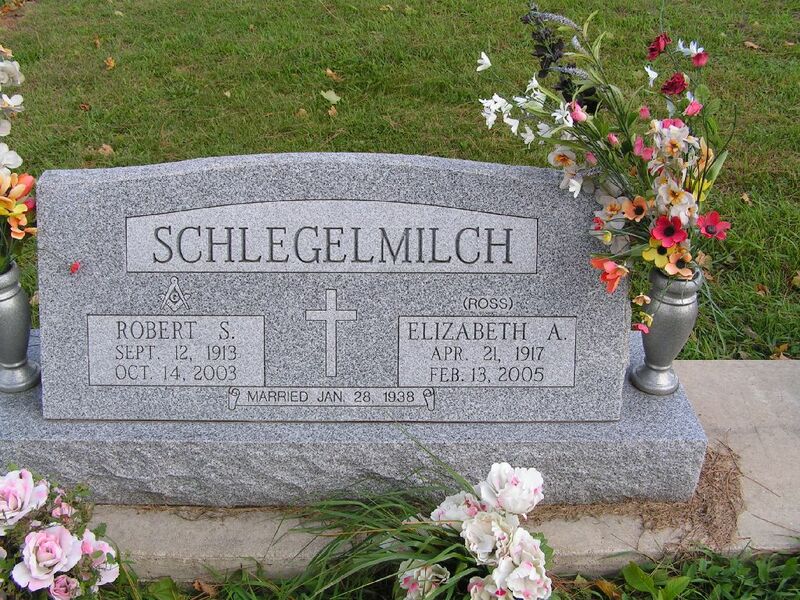 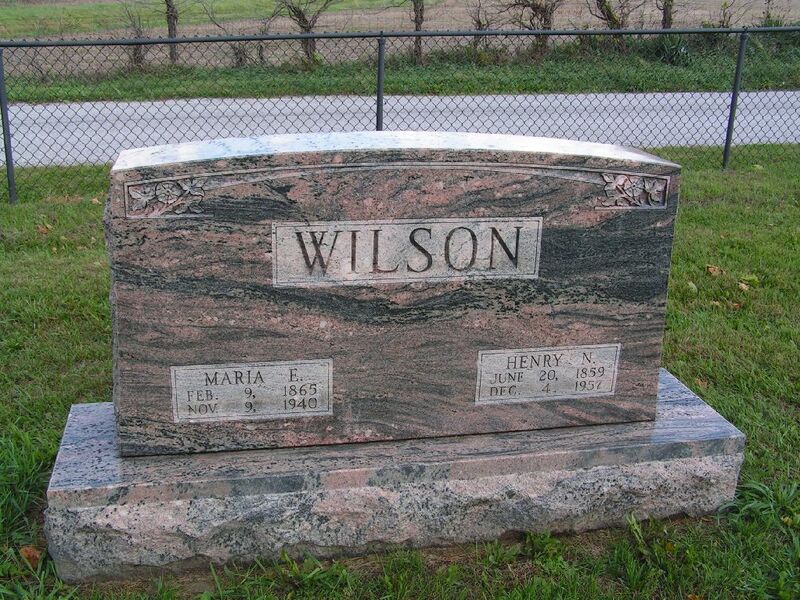 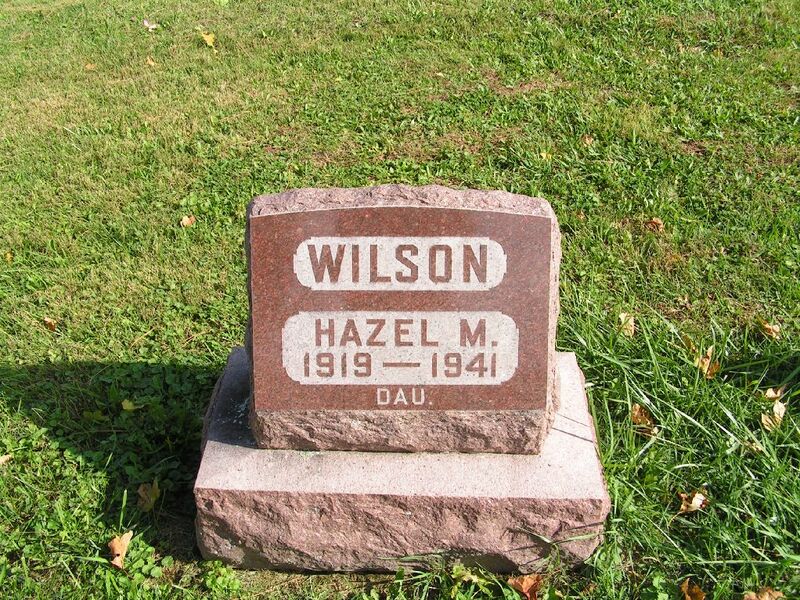 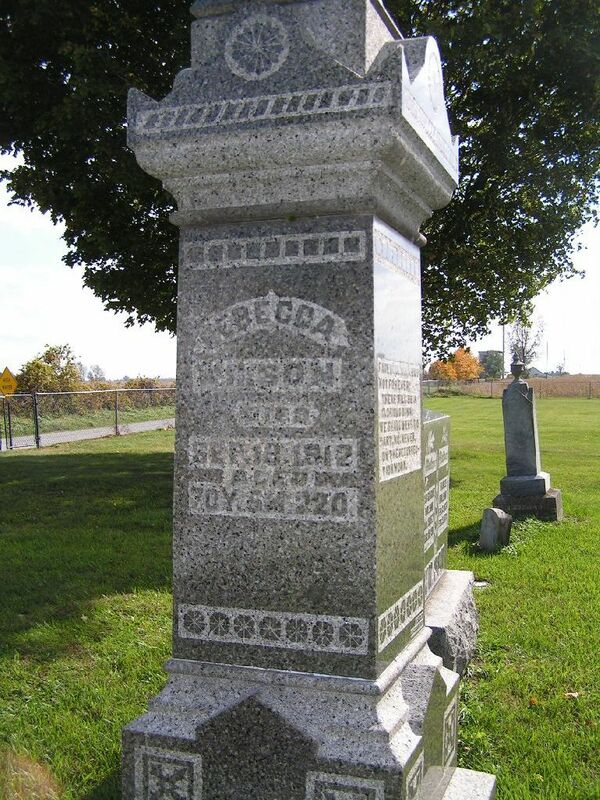 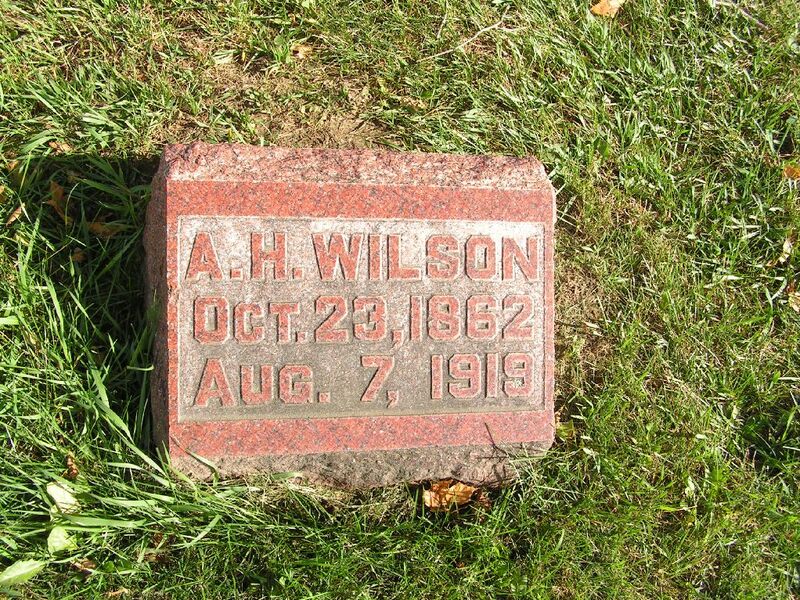 WILSON Rebecca 27 Mar 1842* 18 Sep 1912 70 ss/Thos. 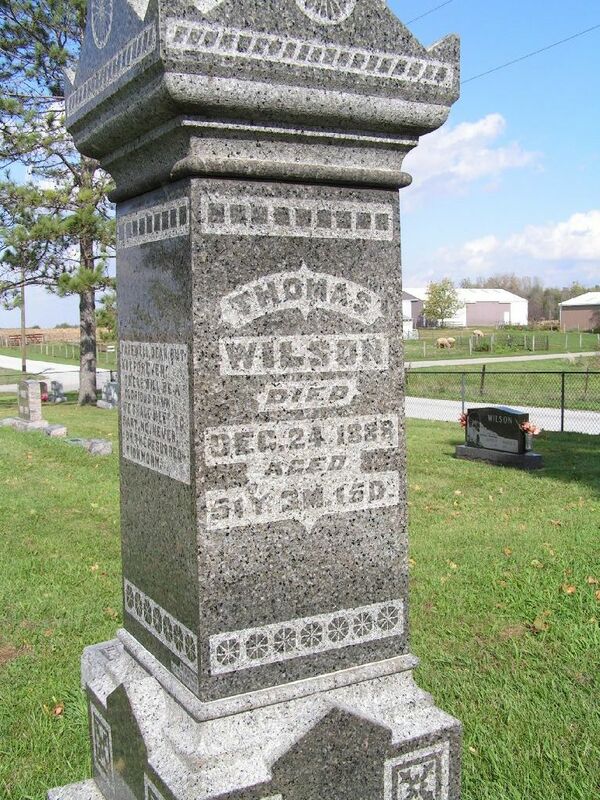 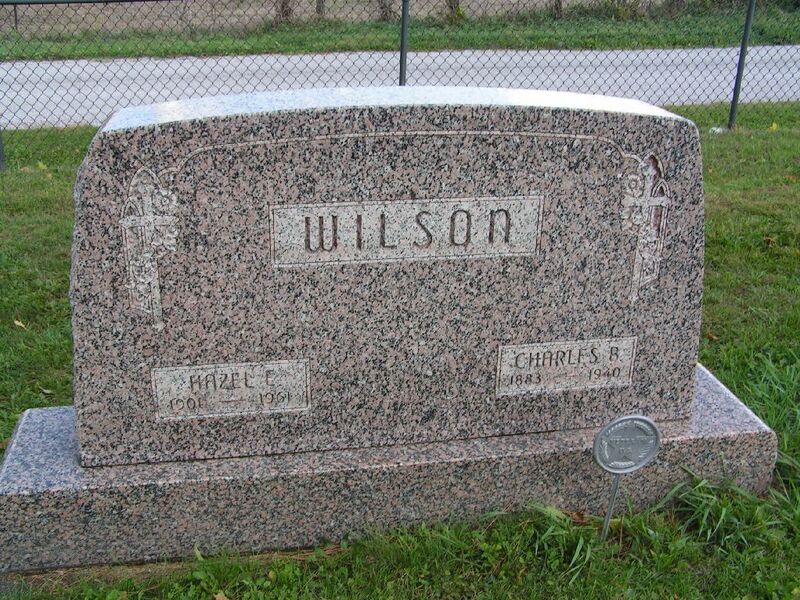 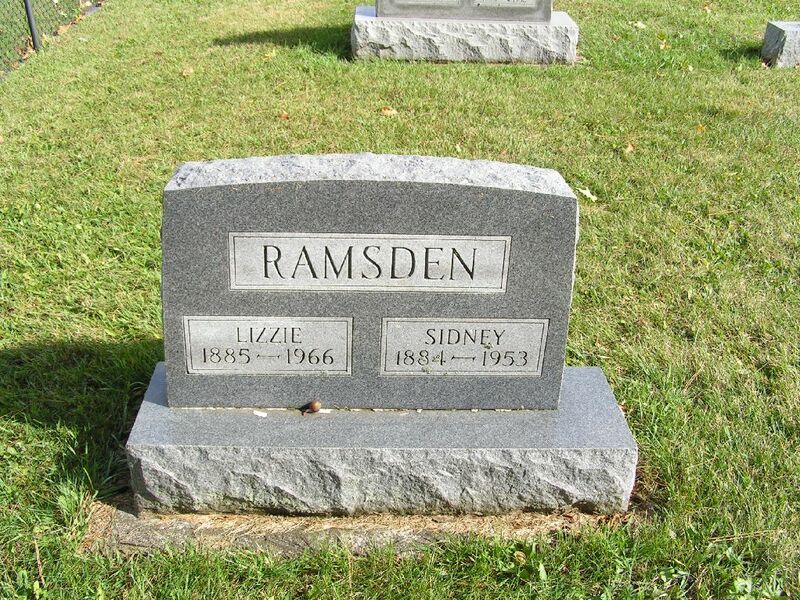 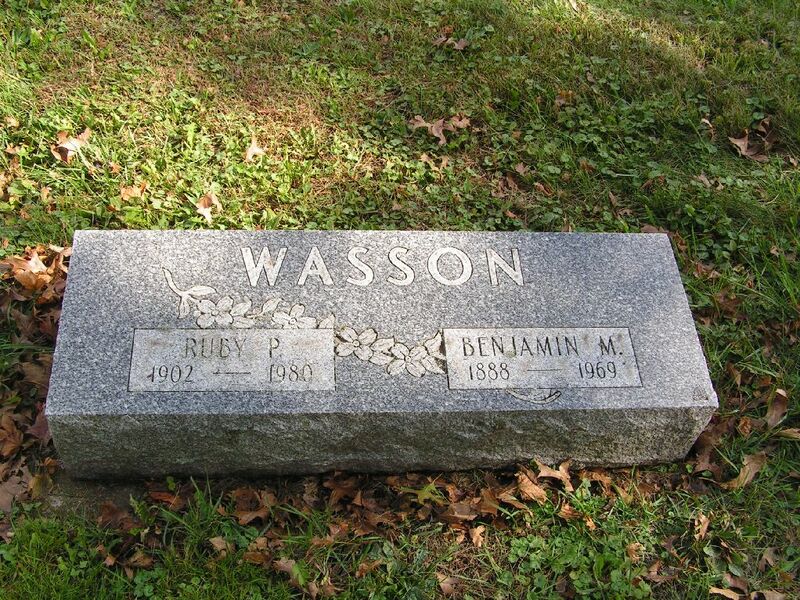 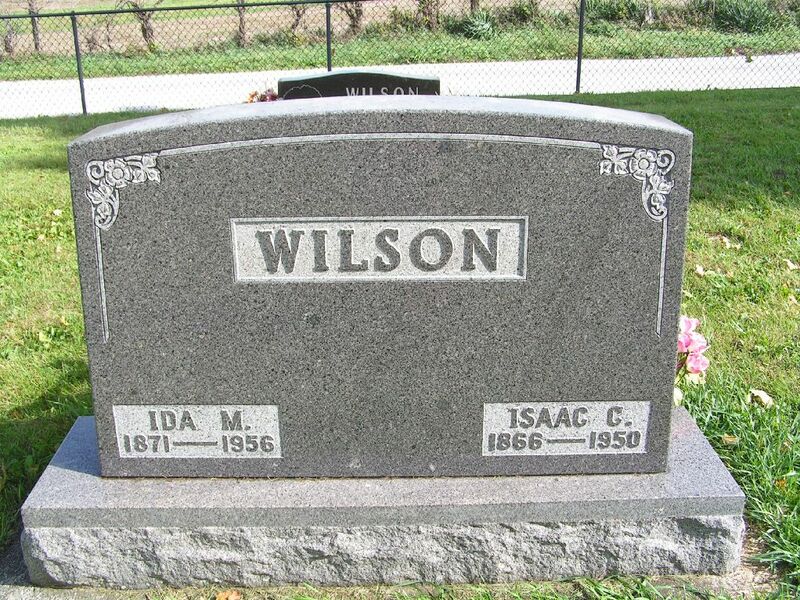 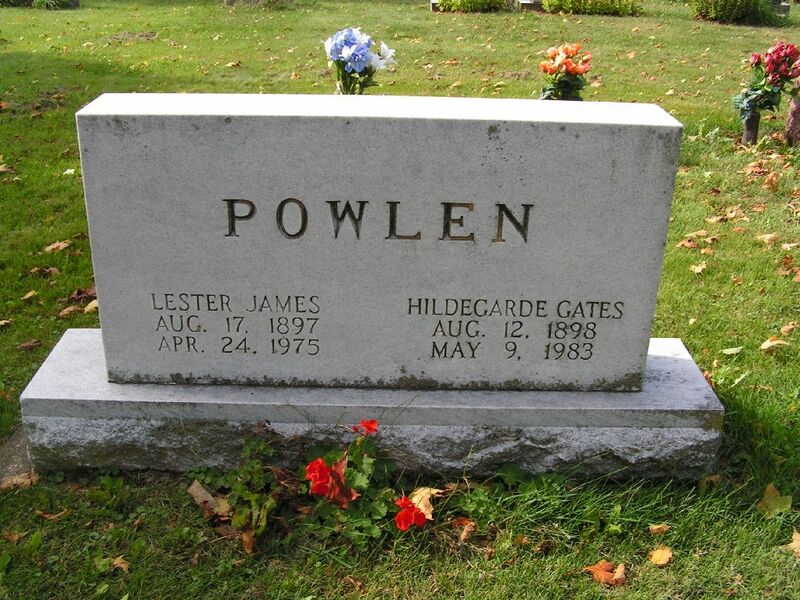 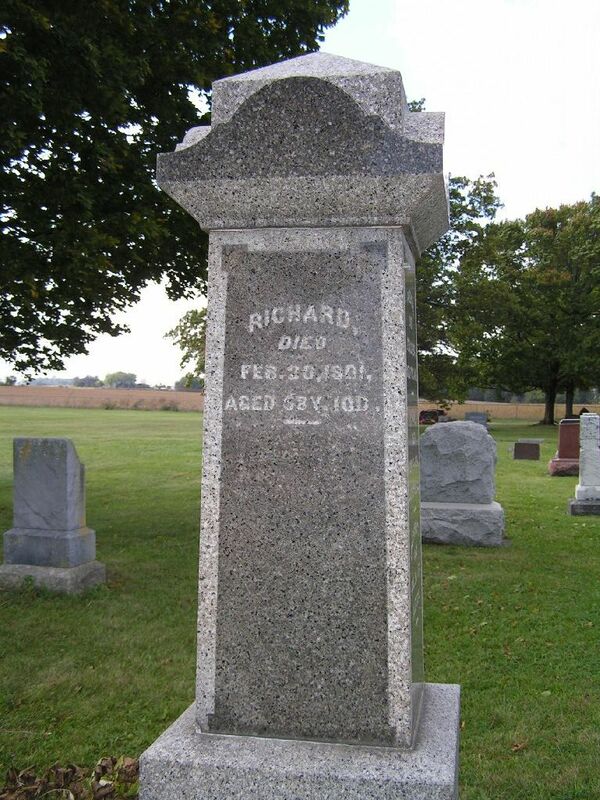 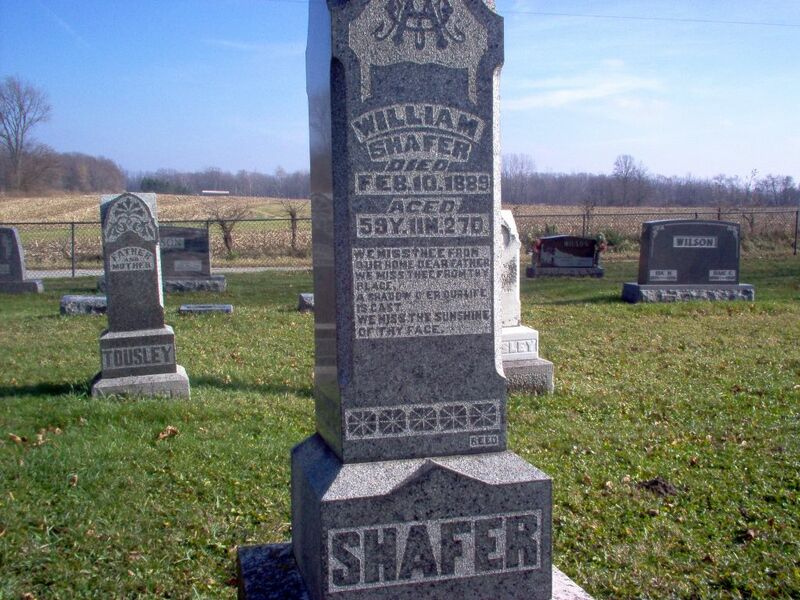 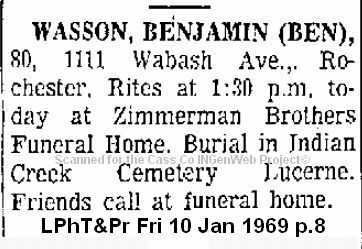 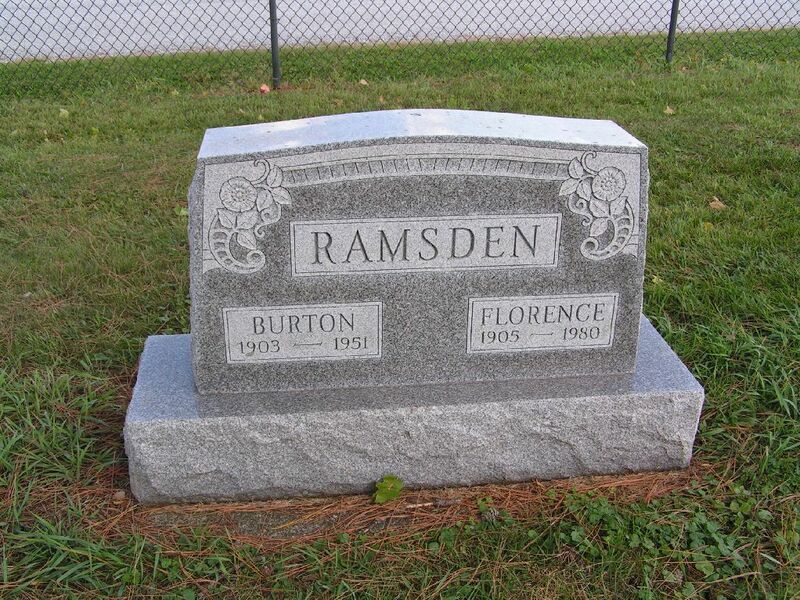 WILSON Richard 13 Jan 1867* 15 Jan 1867 2 DA s/o J & C.
WINSCOTT Nancy 6 Mar 1810* 3 Jan 1887 76 ss/L.W. 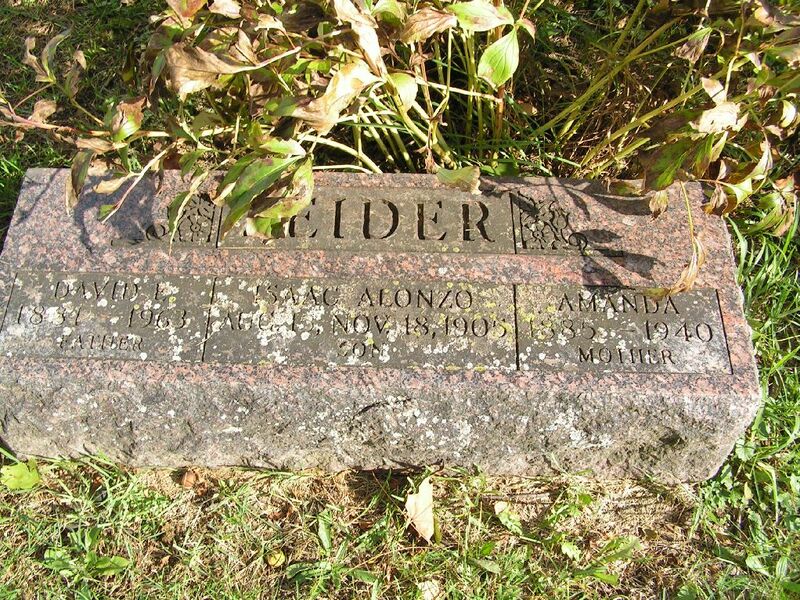 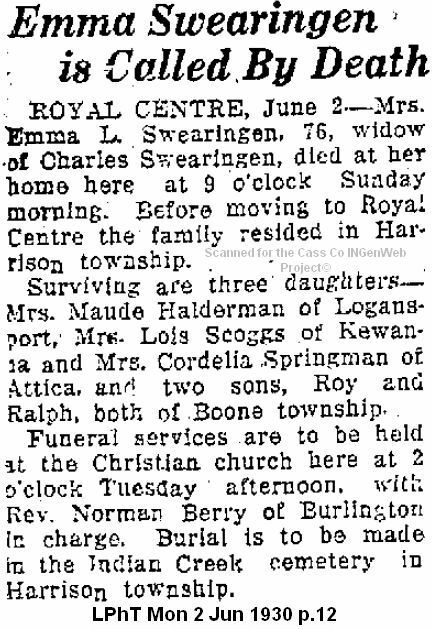 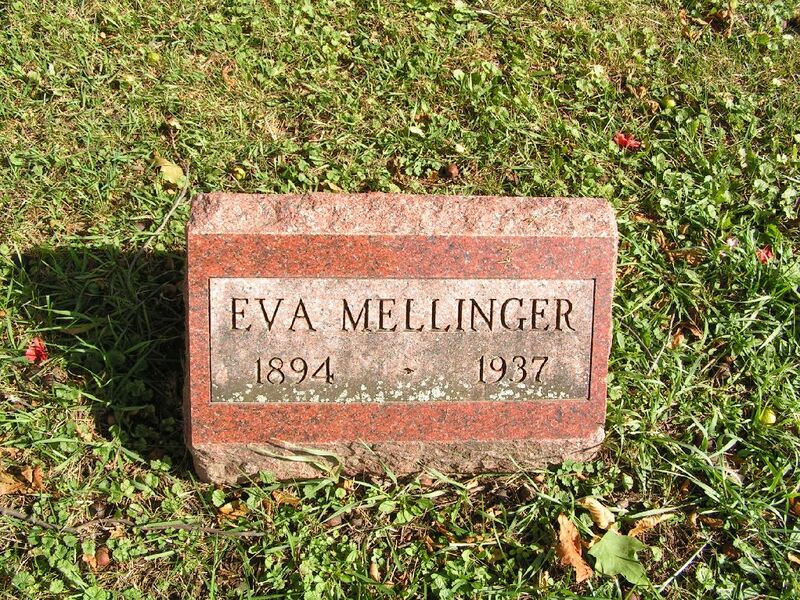 ZEIDER Amanda King 1885 1940 ss/D.E. 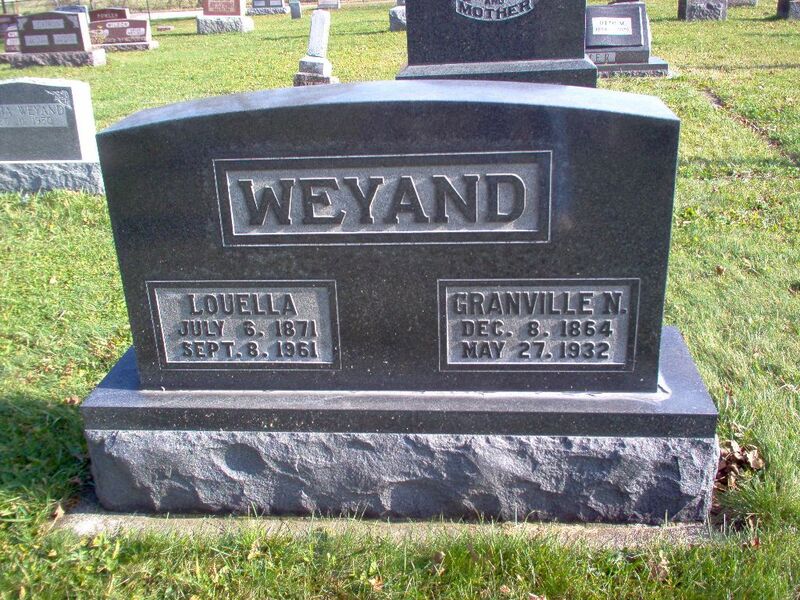 & I.A.